Somerset Court, 30 years in. Image: Google Maps. The Somerset Court condominium, located on Somerset Street West just off Elgin, recently celebrated its 30th anniversary. Designed by architect Barry Hobin, it was a joint project of Robert McElligott’s Timberlay Developments and Toronto’s Citicom, which was probably best known until the late 1970s for its parking lot business. Since Robert Smythe tackled the ins and outs of the condominium’s development in a 2012 URBSite article, I will discuss it only briefly. Instead, I focus on Timberlay, Citicom, and the brief partnership they enjoyed during the middle years of the 1980s. The site previous to the construction of Somerset Court. Image: URBSite. In 1984, the Blackburn Estate had a large ‘For Sale‘ sign erected in front of the two homes pictured above. The house to the left had most famously been the home of Frederick J. Graham, of Bryson-Graham Department Store fame and like so many Centretown homes was converted into an apartment. The home on the right was the home of Frank Oliver for a period. Demolition of both structures was allowed to proceed after a meeting of the Ottawa Planning Committee on September 11, 1984.1Ottawa Citizen, September 7, 1984, p. 38. Somerset Court2The name “Somerset Court” had already been used for a development along Somerset Street West at the time, though the name was long forgotten. Leo Sipolins’ small four-unit row at 74 Somerset W. was given the name upon completion in 1976. See Ottawa Journal, November 1, 1976, p. 31. was introduced during the Spring of 1985, construction commenced, and by the following Spring, 80% of the units, which begun at $150,000, were sold.3The later units were sold at $166,000. “Rideau Centre builder plans project,” Ottawa Citizen, May 15, 1985, p. F11; Ottawa Citizen, January 28, 1986, p. C12; Ottawa Citizen, May 24, 1986, p. A22. Hobin’s respectful and context-sensitive design for the condominium won the Ottawa-Carleton Home Builders’ Association Award in the High Rise Multiple category.4I don’t know if I’d characterize it as a high rise myself, but the OCHBA did. See Steven Mazey. “Awards honour builders for innovation and efficiency,” Ottawa Citizen, October 11, 1986, p. D1. The images below were taken by the City of Toronto in 1990 as part of its ongoing collection of examples for urban design initiatives. See: City of Toronto Archives, Former City of Toronto Fonds (200), Urban Design Photographs Series (1465) File 647, Ottawa Reference Slides. City of Toronto Archives, Former City of Toronto Fonds (200), Urban Design Photographs Series (1465) File 647, Ottawa Reference Slides. File contains slides that depicts a housing project on Somerset Avenue in Ottawa. Gallery Court, almost 30 years in. Image: Google Maps. Somerset Court was not the only Ottawa collaboration for Timberlay and Citicom. 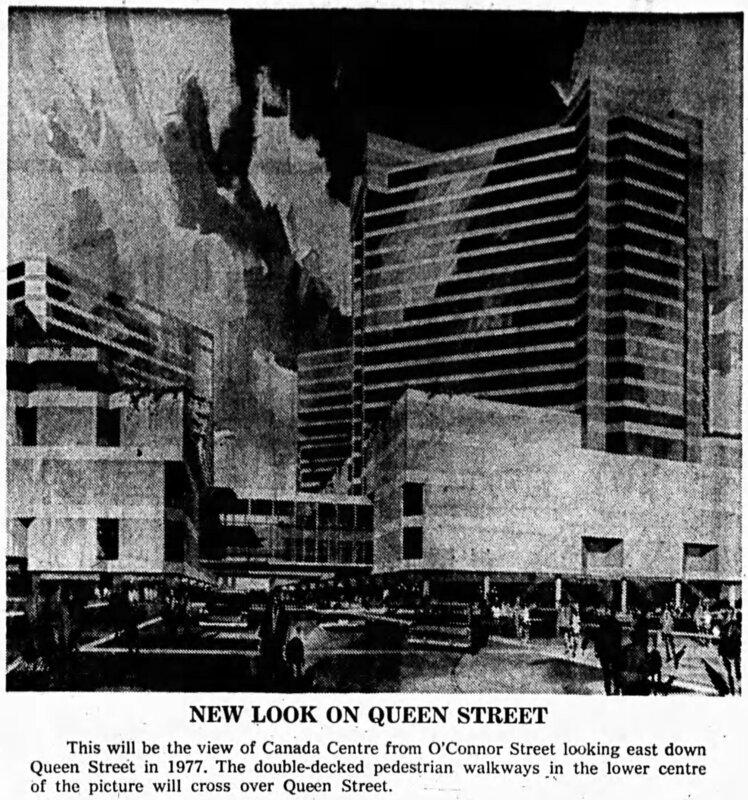 Almost concurrently with its Centretown counterpart, the partnership announced the construction of its Gallery Court development, located on Murray street near Sussex.5”Rideau Centre builder plans project,” Ottawa Citizen, May 15, 1985, p. F11. The name and marketing for the condominium were chosen in reference to the National Gallery of Canada, for which the site had been chosen in 1983,6The side of the old Dominion Printing Bureau and Laurentian Terrace. See Keri Sweetman. “Sites approved for museum, Gallery,” Ottawa Citizen, February 10, 1983, p. 1. the doors finally opening in 1988,7”Report’s criticism of Gallery, Museum ‘overblown’,” Ottawa Citizen, October 30, 1985, p. A4; Bruce Levine. “Can’t judge buildings by their covers,” Ottawa Citizen, November 15, 1986, p. H3; Charles Gordon. “The new gallery: It’s very much a Canadian building,” Ottawa Citizen, May 7, 1988, p. H1; Louise Crosby. “The gallery’s 108-year search for a permanent home,” Ottawa Citizen, May 19, 1988, p. H4; Brad Evenson. “National Gallery bash draws 10,000,” Ottawa Citizen, May 21, 1988, p. A1. shortly after residents began to move in. 19-27 Murray Street, May 23, 1970. Gallery Court served as a heritage-sensitive replacement for such Lowertown West buildings. Image: Hazen Sise / LAC Accession 1986-004 NPC Box 05256. 21-33 Murray Street, 1948. Image: Malak Karsh / LAC Accession 1985-070 Assignment 1150. Murray Street, 1948. Image: Malak Karsh / LAC Accession 1985-070 Assignment 1150. The Brian Brisbin designed8Rhys Phillips. “Murray Street development will fit in with neighboring buildings,” Ottawa Citizen, May 10, 1986, p. F1. condominium was priced for a higher-income audience, with 450 square foot bachelor units beginning at $90,900 and running all the way up to $338,900 for the two-storey penthouse units.9Sheila Brady. “Buyers of luxury Gallery Court condos like central location,” Ottawa Citizen, April 22, 1986, p. F5. In the more common industry terms, units in Gallery Court had an average price of a “whopping $187 a square foot.” When constructed, it was the most expensive in the region.10Karen Benzing. “Condominium glut sweeps region,” Ottawa Citizen, August 19, 1986, p. B1. Ottawa Citizen, January 28, 1986, p. C12. Ottawa Citizen, February 13, 1986, p. D12. 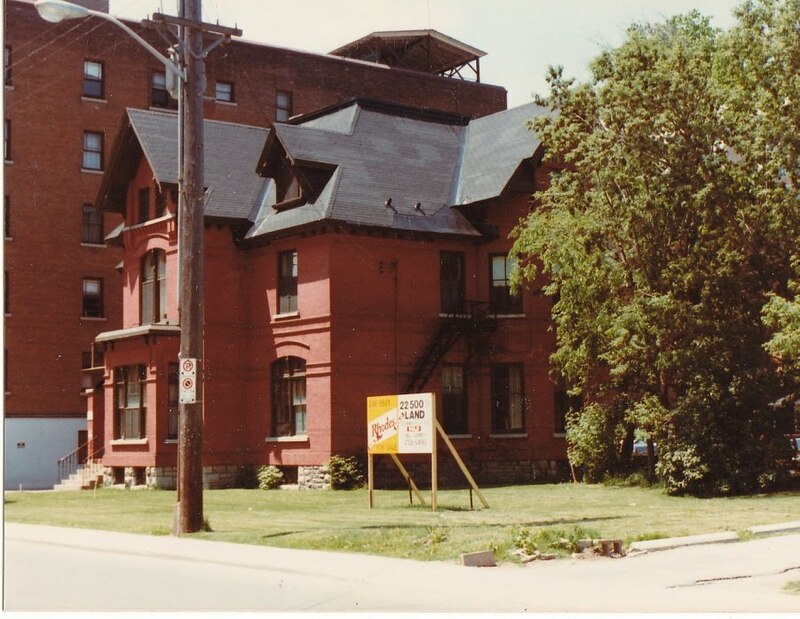 As with Somerset Court, its Murray street counterpart was a design success, taking home the gold in the 1988 edition of the Ottawa-Carleton Home Builders’ Awards in the mid-rise multiple unit category.11Kathleen Walker. “Blue-ribbon housing; Hobin cleans up at annual builders’ awards dinner,” Ottawa Citizen, September 17, 1988, p. D1. The Citizen’s Rhys Phillips was uncharacteristically upbeat about the design, writing that it was “one of those rare designs able to fit into an historical context without resorting to outright pastiche” and that “it remains an elegant addition to a sensitive area.”12Rhys Phillips. “Architecture in ’87: the bad and the beautiful,” Ottawa Citizen, January 2, 1988, p. F2. 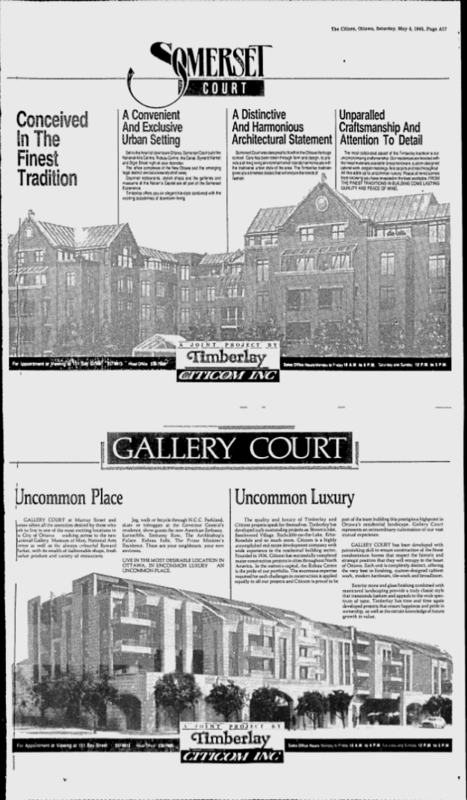 Somerset Court and Gallery Court were marketed by Timberlay and Citicom together in a number of advertisements. Source: Ottawa Citizen, May 4, 1985, p. A17. Ultimately, the partnership successfully delivered additional density in established neighbourhoods without resorting to the tower model that had dominated in the decades previous. Just as importantly, Hobin and Brisbin were both successful in delivering designs that were both respectful of and referential to their surroundings without descending into the worst habits of the Postmodern style. In turn, I will now take a look at the work of Citicom and Timberlay, individually, outside of their brief partnership. One of the many City Parking (Citipark) lots, located at King E. and Toronto. 1978. Image: City of Toronto Archives, Former City of Toronto Fonds (200), Urban Design Photograph Series (1465), File 299, Item 6. W. Bernard Herman built an empire. After having graduated from Osgoode Hall law school in 1934, he quickly realized that he was much less interested in the practice of law than it had seemed when he entered. Parking lots, on the other hand, seemed a promising venture as it was clear to Herman that cars were the future. In 1937, he purchased his first one, reputedly on Queen street West,13Consulting the aerials, it does not seem to have been actually on Queen West, but rather to the rear of one of the buildings. across from the prestigious school. By the dawn of the 1960s, he owned 60 lots in Toronto and 70 more across Canada – including several in Ottawa.14Ron Haggart. “Toronto Parking King Honks At City Hall,” Toronto Star, June 21, 1961, p. 7. On some level, it may not have been entirely difficult to build a parking empire at a time when demolition was such a popular pastime. Image: City of Toronto Archives, Former City of Toronto Fonds (200), Urban Design Photographs Series (1465), File 470, Item 1 (197?). As is so often the case in business, Herman was more ambitious than he was an evangelist for the parking lot. Indeed, that only seems to have taken him so far. While some of his energies were spent fighting City Hall in the name of his industry15He did this in a number of ways, though the most common way was to fight the displacement of private parking operators by government enterprise. See “Group Opposes Civic Monopoly On Parking Sites,” Globe and Mail, October 7, 1950, p. 5; “782 Parking Meters Urged For Downtown ‘Won’t Cost City A Cent’,” Globe and Mail, October 18, 1950, pp. 25, 35; “Charges Board With Bad Faith In Parking Deal,” Globe and Mail, May 27, 1953, p. 5; “Downtown Parking” (Letter to the Editor), Toronto Star, November 20, 1954, p. 6; Ron Haggart. “In Parking Matters, Authority Sets Pace,” Globe and Mail, July 17, 1958, p. 7; “Granting of Permit Leads to Squabble Over CNE Parking,” Globe and Mail, August 14, 1958, p. 27; “Need Parking Lots On Fringes,” Toronto Star, September 22, 1959, p. 7; Stanley Westall. “The Economics of Parking Autos,” Globe and Mail, April 1, 1960, p. 7; Leslie Holroyd. “‘ Must Plan Cities’ To Avoid Traffic Jams,” Toronto Star, June 21, 1961, p. 15; Ron Haggart. “Parking Propaganda Obscures The Facts,” Toronto Star, June 28, 1961, p. 7; Leslie Holroyd. “Autos Win Again Down Go Shops,” Toronto Star, March 22, 1962, p. 16. (or at least competing with the Toronto Parking Authority for land16”Private Firm Wants It: Proposes City Sell Mechanical Garage,” Globe and Mail, March 12, 1959, p. 8; Ron Haggart. “How A Parking Lot Grew Money,” Toronto Star, May 9, 1962, p. 7. ), Herman came to see some very blue skies in the development of properties too. Advertisement run by Herman’s City Parking Ltd. Source: Toronto Star, June 6, 1953, p. 31. Since parking lots have so often come at the cost of the buildings that once stood on the site, we don’t tend to see them as the site of a whole lot of construction. This is, of course, entirely fair. On the other hand, Bernie Herman did enter the world of construction and development through his own industry: the parking garage. On April 11, 1963, the Toronto Star reported that architect Harry B. Kohl had designed a parking garage that City Parking was having constructed at the northeast corner of King and Toronto streets.17”Bricks and Mortar,” Toronto Star, April 11, 1963, p. 32. I am uncertain if this was the first of the parking company’s garages realized, though they had experience operating existing garages on contract at home and abroad.18At the time, the company had been operating three garages under contract in England. See “Briefs,” Toronto Star, December 20, 1962, p. 21. Beyond the garage, however, Herman and Gold had come to envision more traditional developments. During the winter of 1962, City Parking purchased from the Toronto Stock Exchange a lot along King Street East bounded by Toronto Street and Church Street. The transaction was worth just south of $2 million and while the garage noted above is what he constructed on the west side of the block. At the corner of King and Church was an office building, which was home to the Metro Police and under lease until 1965.19”City Parking Buys Block Downtown,” Toronto Star, February 16, 1962, p. 2; Ron Haggart. “How A Parking Lot Grew Money,” Toronto Star, May 9, 1962, p. 7. It was not clear when it would happen, but Herman saw for the site a “massive” office complex and saw the parking function as temporary.20Ibid; “Bricks and Mortar,” Toronto Star, May 4, 1962, p. 32. Similarly, when the firm bought 60,000 square feet of property at Dundas and Yonge, north to Edward, John Walker, a City Parking official informed the Star that the new parking lot was temporary, and the firm was envisioned a multi-storey store and office. The lot was purchased from Famous Players for $1.25 million.21Leslie Holroyd. “Autos Win Again Down Go Shops,” Toronto Star, March 22, 1962, p. 16. City of Toronto Archives, Fonds 1257, Series 1057, Item 5667. City of Toronto Archives, Fonds 1257, Series 1057, Item 5668. City of Toronto Archives, Fonds 1257, Series 1057, Item 5669. City of Toronto Archives, Fonds 1257, Series 1057, Item 5670. City of Toronto Archives, Fonds 1257, Series 1057, Item 5671. The road from parking lot kings to property developer, as it would turn out, was a longer one than it seemed in the early 1960s with those large acquisitions. It was more a matter of needing property values to rise for the investment in glass and concrete to be made worth more than the parking lot than some long-game, but by the early 1970s, City Parking with its extensive land holdings was “on the verge of becoming a major real estate developer.”22Terrence Belford. “Parking lot chain branching out as developer,” Globe and Mail, March 9, 1973, p. B3. Whether caution or opportunity, the company had been more likely to dip its toes in waters outside of Toronto at that point, with an apartment-hotel and the Canada Place proposal in Ottawa (more on those below), an office building at Place du Centre in Montreal, a Four Seasons, also in Montreal, and a Holiday Inn in Longueuil.23Ibid; Harvey Shepherd. “After the post-Expo slowdown, several major projects scheduled to start in Montreal within year,” Globe and Mail, July 2, 1971, p. 18; “Four Seasons Hotels plans 15% annual growth,” Globe and Mail, March 9, 1973, p. B3. In 1973, the only Toronto development that Herman or Howard were willing to elaborate on was the Toronto Squash Club on Lombard street, which was at the time nearing completion.24Interestingly, it has since been demolished and is serving, perhaps fittingly, as a parking lot until Great Gulf’s Young+Rich condominium project commences. City Parking’s Bernie Herman (left) and David Howard talk building instead of paving. Image: Globe and Mail, March 9, 1973, p. B1. Though City Parking was famously tight-lipped about its plans, it does not appear that the firm undertook much in the way of construction during the mid-1970s. Outside of the usual contextual explanations for construction difficulties during those years (stagflation, oil shocks), City Parking had one tiny, perfect reason for suspending development in Toronto during those years: David Crombie. Elected at the end of 1972 on wave of local discontent with development, Crombie and his allied reform councillors moved quickly to reign in the development industry, which included a strict height limit.25I won’t wade into the whole history here. See: Jon Caufield. The Tiny Perfect Mayor: David Crombie and Toronto’s reform aldermen (Toronto: James Lorimer, 1974); John Sewell. The Shape of the City: Toronto Struggles With Modern Planning (Toronto: University of Toronto Press, 1993); Jamie Bradburn. “The Tiny Perfect Candidate,” Torontoist October 25, 2014. To make a long (albeit highly interesting) story short, after a protracted five year battle that involved the Ontario Municipal Board and intense negotiations between the City and developers, City Parking entered a new era with a large and wide-ranging construction plan with a clear go-ahead.26David Miller. “$100 million plan ends building war — Crombie,” Toronto Star, May 30, 1978, pp. A1,A22. No, not that David Miller. The battle was a long one. Source: Toronto Star, May 30, 1978, p. A1. Of City Parking’s “deal”? The parking company had a total of eighteen parking lots with a development plan and were, pre-Crombie, allowed to erect buildings with 12 times the lot coverage. For sixteen of the lots, mostly quite small, City Parking agreed to conform to the new official plan of 2 times the coverage. The remaining two sites demanded negotiation. The first was across from Maple Leaf Gardens (Lexington Condominiums), which was to have a maximum height of 15 storeys along Carlton, 4 along Granby, and an increase in units from 140 to 192, so long as moderate-income family units were added to the mix.27Ibid. The contentious site in 1977: one of City Parking’s numerous parking lots. Image: City of Toronto Archives, Series 12, Image 19, 1977. The Lexington at completion, 1981. Image: City of Toronto Archives, Series 12, Image 11, 1981. At 22 storeys, the Lexington Condominiums are taller than the 15 originally bargained for. Image: Google Maps. “Gracious Living” and it’s close to all of the action. Source: Toronto Star, February 4, 1981, p. A11. The second negotiation was for the lot he purchased from the Toronto Stock Exchange in 1962 on King between Toronto and Church. Though it already had a parking garage on the site and an office building, as promised, City Parking had much larger plans for the expensive site across from the King Edward Hotel. The original plan for the site was a 28-storey office building. The bargain was that the height of the building be reduced from 28 to 20 storeys and add 175 units of housing in exchange for the right to exceed density by 3 storeys. The building also had to be sloped so that it would not be taller than St. James Cathedral on the Church street side.28Ibid, p. A22. Unlike the negotiated lot to the north, Citicom did not develop the lot for another 10 years. On October 5, 1988, the Toronto Star published a sketch of the new office and condominium development.29Toronto Star, October 5, 1988, p. D12. The office portion of the Brisbin Brook and Beynon (BBB) designed project was completed in 1990 and the condominiums in the following year.30”Major projects in and around Metro,” Toronto Star, January 3, 1990, p. F2; Vince Blain. “Downtown condo has rooftop terrace,” Toronto Star, December 7, 1991, p. F6. The site in 1977. Still a parking garage. The office tower that housed the Metro Police HQ was demolished in 1968. Image: City of Toronto Archives, Series 12, Image 18, 1977. King Edward Hotel from Church. May 31, 1979. Image: Fonds 1526, File 49, Item 21. In the vicinity of the King Edward Hotel, seen here from Toronto Street. September 3, 1979. Image: City of Toronto Archives, Harvey R. Naylor Fonds (1526) File 49, Item 22. The King Edward Hotel from the rear. Harvey R. Naylor, September 11, 1973. Image: Fonds 1526, File 49, Item 1. The new development was announced in October 1988, only 10 years after the negotiated agreement. Source: Toronto Star, October 5, 1988, p. D12. The building, named One Toronto Street, under construction in 1989. Image: City of Toronto Archives, Series 12, Image 51G, 1989. View of St. James from the terrace atop the development’s condominium portion, known as King Plaza. Source: Toronto Star, December 12, 1991, p. F6. The condominium portion, known as King Plaza. Source: Toronto Star, December 12, 1991, p. F6. The site today. With the exception of a slightly lower-than-allowed office tower, the development appears to have been constructed as agreed to in 1978. Image: Google Maps. “Picture the Toronto-Dominion Tower lying on its back and taking up the city block between Bay and Young Sts. on the north side of Dundas St. Except clad not in black but in silver-tinted glass.” This wasn’t Bernie Herman’s vision, but rather the project’s developer, Walter Zwig. City Parking, which had recently been renamed to Citicom, does not appear to have made plans for their extensive holdings along Dundas a priority. Rather, Herman agreed to sign a “most complicated and unusual” 99-year lease with Walter Zwig and the Trizec Corporation on their holdings for the construction of the Atrium on Bay project in 1979. As was the case with all of Toronto’s would-be downtown developers in the 1970s, Zwig’s original 3-tower plans were frustrated considerably by the Crombie (and subsequent Sewell) years at City Hall.31Paul Goldstein. “Walter Zwig’s dream came down to earth,” Toronto Star, September 27, 1980, p. D9. Before Atrium on Bay, from the recently-completed Eaton Centre. LuCliff Place looked awfully lonely. Image: City of Toronto Archives / Harvey R. Naylor, Fonds 1526, File 92, Item 3. May 11, 1977. Zwig poses with the model of his Atrium on Bay project. Source: Toronto Star, September 27, 1980, p. D9. Atrium, while a much smaller development than originally envisioned, still made its presence known at Yonge and Dundas. Image: City of Toronto Archives, Fonds 200, Series 1465, File 548, Item 5. Atrium on Bay, more recently. Image: Google Maps. With much of the unknown cleared up in their own back yard and with a few successes until their belt, Citicom decided in 1982 that it was time to get involved in development on a full-time basis. The parking lot business would remain, of course, though real estate was to take on a new prominence. 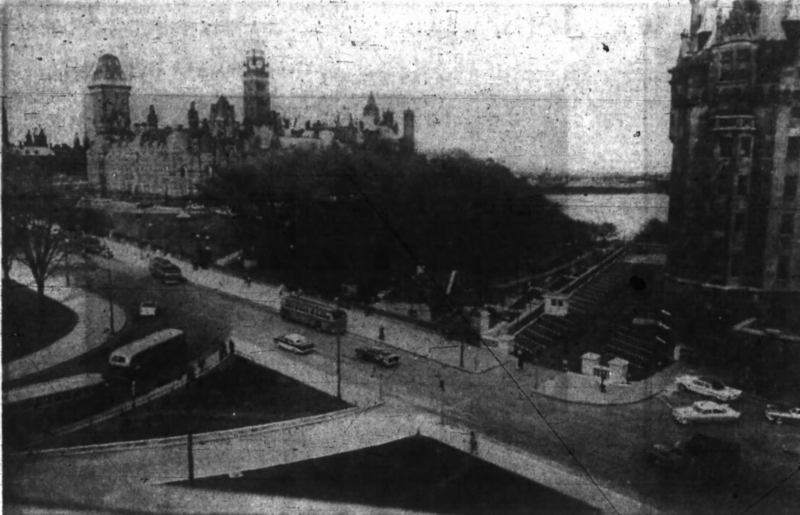 The results of their projects in Montreal were encouraging, and the lengthy battles in Ottawa would soon culminate in the construction of the Rideau Centre. All of them partnerships. At home in Toronto, Citicom decided to go it alone and had just spent $7 million to acquire 100,000 square feet of density rights at the Winter Garden Theatre. The province had recently acquired it and was looking for ways to see it rehabilitated without expense from the provincial treasury. Citicom had planned to use the density transfer for an office building project on Wellington, located at the rear of the Royal York Hotel. That there was a glut of condominiums in Toronto in those years is what caused the pivot into offices.32Perhaps the Lexington’s sales were disappointing early on. See Bruce Gates. “Citicom ready to begin full-time project work,” Globe and Mail, May 28, 1982, p. B3. Council mulled the density transfer, approved it, and Citicom set to work, hiring Pellow & Associates to design the office.33Toronto Star, July 28, 1982, p. D17; The debate was a raucous one. Its heritage neighbour, the Toronto Club, opposed it strongly and neither the Royal York Hotel, nor Cadillac-Fairview, who planned to erect a fourth Toronto-Dominion tower were entirely impressed. It nevertheless went ahead. Also see Tom Kerr. “City okays deal to get Winter Garden going,” Toronto Star, July 9, 1982, p. A7; Ross Laver. “Neighbors called threat to Citicom deal,” Globe and Mail, July 10, 1982, p. E24; Pat Brennan. “Office space seen rising despite high vacancy rate,” Toronto Star, November 13, 1985, p. G1; Pat Brennan. “Where will they find tenants for new towers?” Toronto Star, June 1, 1986, p. F1. There were some threats that, should the deal not be made, the Province would not be able to restore the once-glorious theatre. See Tom Kerr. “Winter Garden refit will be mothballed if air rights aren’t sold, city warned,” Toronto Star, July 8, 1982, p. A7. The Province received a $6.9 million letter of credit from Citicom in December, which enabled the theatre’s restoration to commence. See Bruce Blackadar and Jack Graneck. “Island homes — back to square one?” Toronto Star, December 26, 1982, p. D8. Citicom’s 95 Wellington project was completed in 1986. Image: Google Maps. Where the development projects were something of a new direction for Citicom and was where much of the attention at the top was surely focused, the core business, run by the Citipark division seems to have been the victim of some neglect. During the Winter of 1986, more than 180 Citipark and O.K. Parking lot attendants walked off the job. While they had the same responsibilities as the attendants employed by the Toronto Parking Authority (Green P), were paid more than twice the wages and even had upgraded facilities. The demands made by the members of the Service Employees International Union, Local 204, appeared modest: a $1 per hour raise.34Darcy Henton. “Parking lots are next to each other but worlds apart on wages, benefits,” Toronto Star, February 27, 1986, p. A6. An additional point of interest is that Citipark had just 40 lots remaining in Toronto in 1986, demonstrating the pace of sale and development. Citipark boasts five parking facilities today. With Citicom willing to offer a 10c per hour raise, the strike was on, causing backups and traffic jams in the downtown.35Peter Cheney. “Parking lot strike jams downtown,” Toronto Star, March 1, 1986, p. A1. While some of the lots were staffed by supervisors during the strike, some were not, which allowed Torontonians to park for free in the unsupervised lots.36Paul Bilodeau. “Free parking delights drivers,” Toronto Star, March 5, 1986, p. A7. The strike dragged on for three weeks, until March 23, when the union reluctantly accepted the offer forwarded by Citipark: a 3, 4.2, and 5% wage increase for the three grades. It should be noted that Citipark wages would still be less than 50% of that earned by Green P employees.37Dana Flavelle. “Parking lot attendants reluctantly end strike,” Toronto Star, March 23, 1986, p. A3. A Tale of Two Attendants. The strike ended on March 23, but Citipark’s attendants did not come out much more ahead than when they went in. Source: Toronto Star, February 27, 1986, p. A6. The foregoing is not intended to represent an exhaustive list of the company’s projects, only a selection. Although Citicom was based in Toronto, it has never been a firm that limited its efforts to that city. Moreover, not only did Citicom build and manage parking lots across Canada, in the United States and even the United Kingdom, but its outlook was similarly broad in its development efforts. 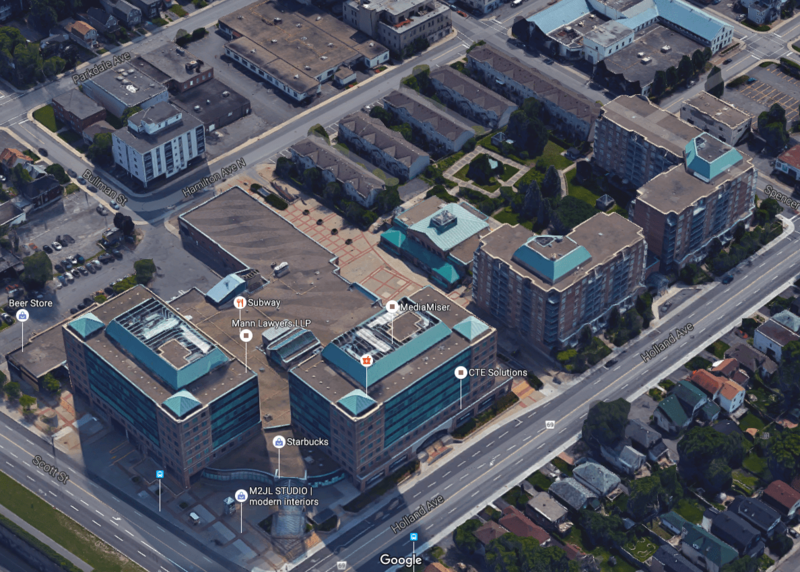 As this story relates primarily to Ottawa, I will outline below the company’s activities in Ottawa before and after the construction of Somerset and Gallery Court condominiums. 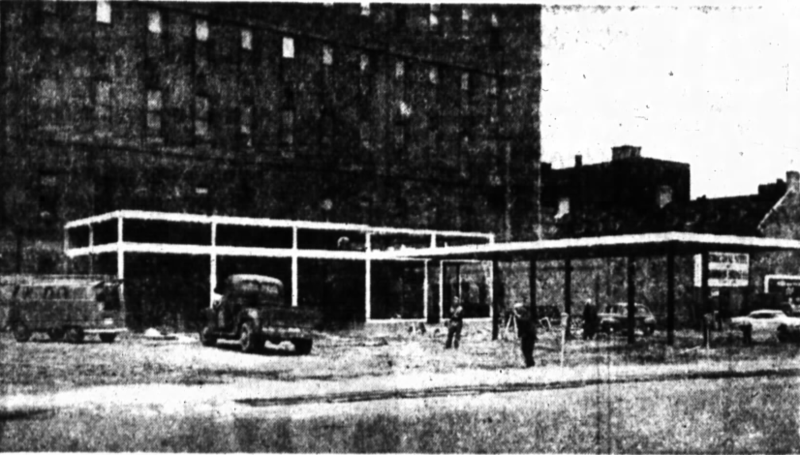 The picture is a poor quality one, but the combination BP and parking lot at the corner of O’Connor and Slater was owned by Bernard Herman’s City Parking. It was located next door to the Tilden U-Drive. Source: Ottawa Journal, May 20, 1958, p. 15. As noted above, Herman’s City Parking was active elsewhere in Canada and Ottawa was no exception. By 1958, City Parking operated two lots in Ottawa: one at Metcalfe and Queen, and one at O’Connor and Slater that was combined with a BP Station and located adjacent to the Tilden on Slater. As was the case in Toronto, City Parking set out to do battle with the local parking authority in a sort of turf war. The arguments were the same: that municipal lots were given a subsidy and an unfair advantage over private lot operators.38”Parking Authority Turns Down Offer,” Ottawa Journal, October 8, 1958, p. 33; “Illegal?” Ottawa Journal, May 10, 1967, p. 3. City Parking saw opportunities to park cars where others may not have. In 1959, the firm opened a new parking lot along the west side of Chateau Laurier. The first customer to park on opening day received a ticket from police while waiting for access. Source: Ottawa Journal, May 2, 1959, p. 4. 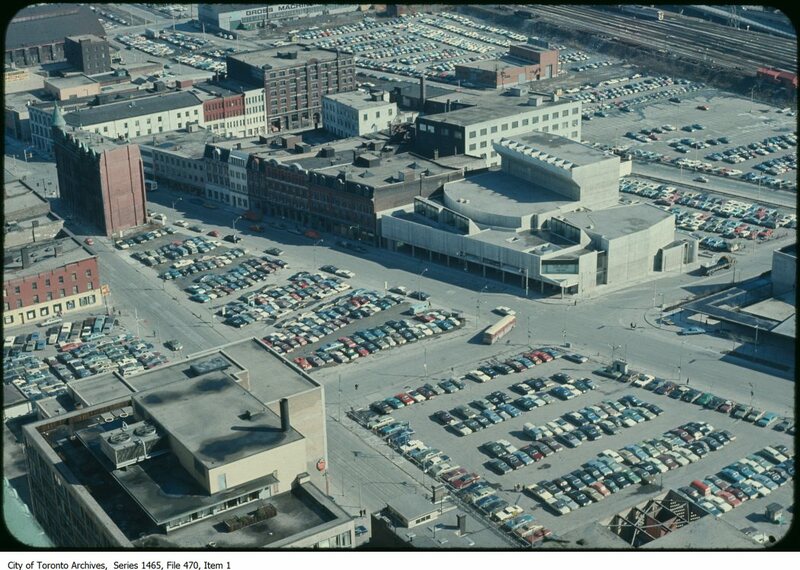 The development of the Sparks Street Mall in 1960 provided an opportunity to private lot operators in the downtown area to get in on the action and provide free parking at their facilities (with purchase). At that point, City Parking had four lots in the immediate vicinity to choose from.39”Free Parking For the Mall,” Ottawa Journal, May 25, 1960, p. 14. Just as it was in Toronto, City Parking’s ambition was strong in Ottawa: the Board of Control recommended that the disused Ottawa Transportation Commission property on Albert at Kent be rented out to City Parking for a lot, at least while a more suitable use was being decided upon.40”May Rent OTC Site,” Ottawa Journal, November 30, 1960, p. 3; “Council Approves $334,000 Contract for New Stand,” Ottawa Journal, December 8, 1960, p. 19. Parking was not just for customers, of course, it had long been held by City Parking that employees of downtown business were more valuable patrons for the lots, insofar that they made for some 90% of the custom.41Richard Statham. “Large City Real Estate Values Being Influenced,” Ottawa Citizen, July 13, 1961, p. 10. A growing city, a large hospital, a rapidly-growing car culture. All resulted in pressures being added to the Civic Hospital to provide. A concern for “greenery” has remained with us and arguments for it figure in to the controversy over the use of Experimental Farm lands across the street for a new hospital. Source: Ottawa Journal, July 23, 1965, p. 3. 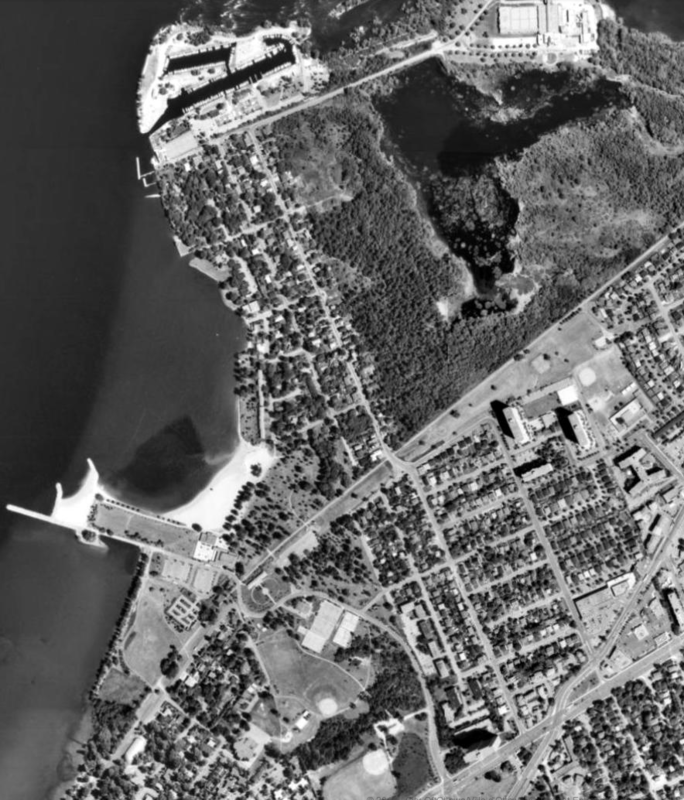 The Ottawa of 1965 was a growing city with rapidly expanding suburbs and, as such, a rapidly-expanding population of car-dependent residents. As the city’s largest and most centrally-located hospital campus, the Civic Hospital came to face immense pressure to provide adequate parking facilities. As the firm contracted the operate the hospital’s parking, City Parking Ltd. found itself at the centre of a controversy. On June 25, 1965, the hospital’s trustees held up the awarding of a $14,000 contract to have another part of the campus paved for a new parking lot. This was because some of the trustees believed that City Parking should be the one to pay for the new lot.42”Extend Parking at Civic?” Ottawa Journal, June 25, 1965, p. 3. The hospital announced a month later that it would be building the much-needed 260 spaces (bringing the hospital’s total to 800). The new surface lot was “positively the last” and any additional parking in the future come in the form of a garage. In the end, the cost was shared by the hospital and City Parking. Douglas Peart, the Civic’s administrator insisted that the grounds would remains as lush and beautiful as before and that the trees being removed were an “unseemly variety of poplar.”43I’d disagree with that, as the poplar is among my favourite variety of trees. Neville Hamilton. “Asphalt Attack Continues: Where’s the Civic’s Greenery Going?” Ottawa Journal, July 23, 1965, p. 3. This would turn out to be correct. After losing a number of spots to necessary building construction, the Civic Hospital constructed a 610-spot garage which opened in 1980. See “Parking still headache for board of trustees,” Ottawa Citizen, January 28, 1977, p. 4; “Civic Hospital parking garage in the works,” Ottawa Citizen, November 30, 1978, p. 4; Christina Spencer. “Civic Hospital celebrates opening of new garage,” Ottawa Citizen, October 22, 1980, p. 3. The National Capital Commission became interested in parking lots during the 1970s, including one along Besserer owned by City Parking. Image: geoOttawa, 1965. With the implementation Jacques Greber’s plan for the Capital, came a National Capital Commission that may have been considered to be somewhat grabby when it came to land in the capital. It was, of course, arguably for the beautification of the city and the implementation of the plan, but that did not mean Ottawans always had to like it. 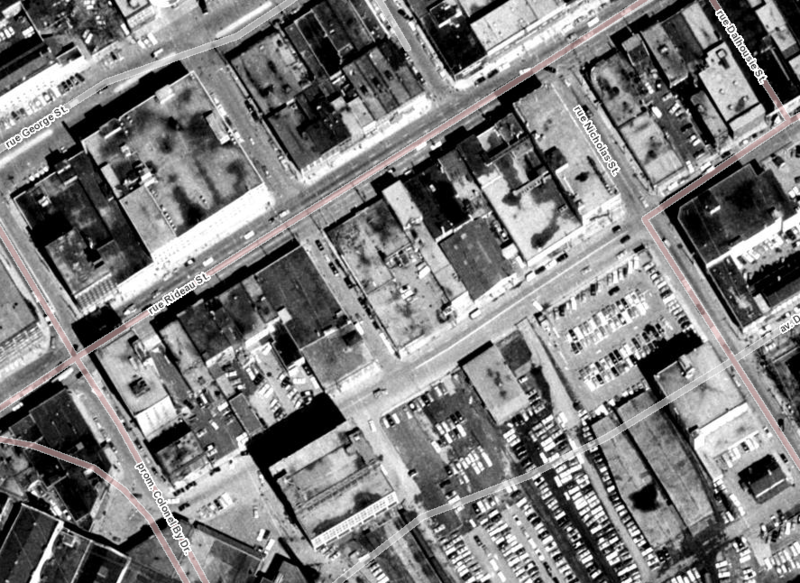 During the Summer of 1970, the NCC took over two parking lots in Ottawa: one owned by Shamrock Parking on Kent, between Sparks and Queen, and one owned by City Parking behind the Besserer postal terminal. While the lots were on lands leased from the federal authority, it was the business of operating a parking lot that was assumed. When asked by the Journal, NCC chair Doug Fullerton was quoted as saying that the NCC had faced activity cutbacks “leaving us with redundant staff which can be effectively used to operate these lots.” He continued, suggesting that they “have also been interested in finding out for ourselves the profitability of operating lots.”(! )44Rick Lyons. “Parking Takeover by NCC Rapped,” Ottawa Journal, June 1, 1970, pp. 1, 5. Just as it had started to become clear in Toronto, a combination of the NCC’s statutory powers and mounting development pressures made the future of downtown surface lots a little hazier. 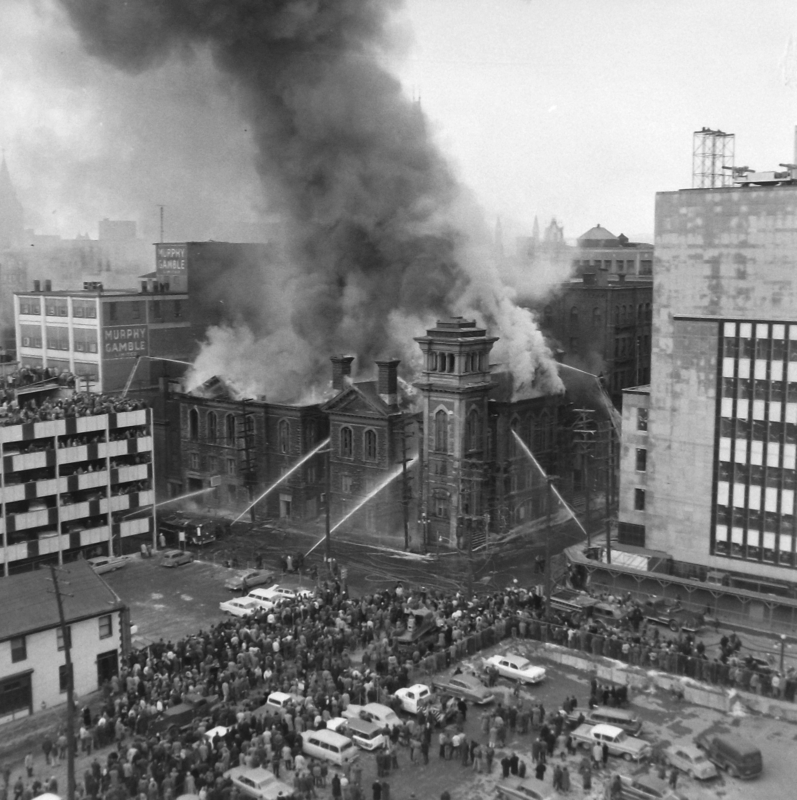 In this photo, onlookers watch the Dominion Church burn from a City Parking (southeast corner Queen and Metcalfe) lot in 1960. Image: Ted Grant / LAC Series 60-1181, Photo 33. On June 25, 1971, R.W. Southam, publisher of the Ottawa Citizen, announced that he had sold the Citizen’s building at 136 Sparks and all of the land west of it to O’Connor. The Citizen’s operations would remain in place until its new offices and plant were completed in the west end, off Iris.45”Parking Firm Buys Citizen Building,” Ottawa Journal, June 25, 1971, p. 42. 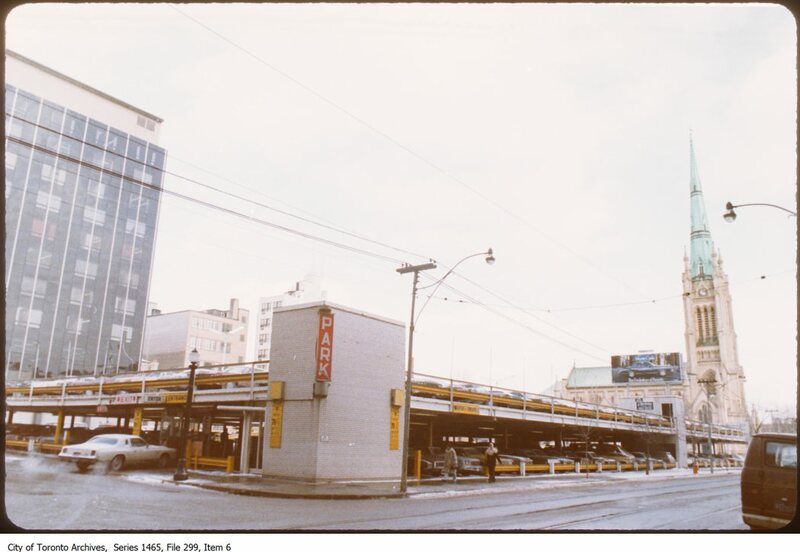 Shortly afterwards, Herman and his City Parking purchased all of the properties along the north side of Queen street between Metcalfe and O’Connor, and in June of 1972, he added the Murphy-Gamble store and Centre Theatre to the portfolio. 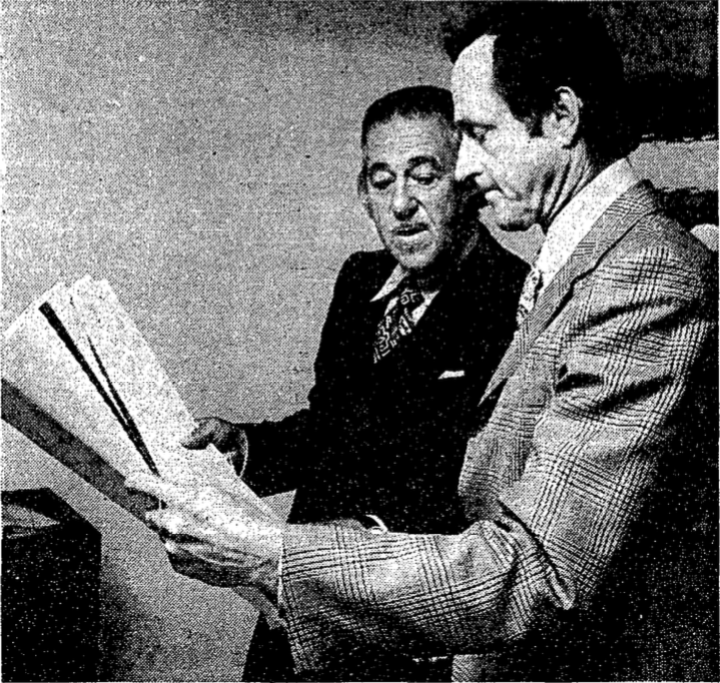 He was a little coy at the time, preferring only to characterize the purchases as “an investment.”46”Mall Theatre property sold for $1.2 million,” Ottawa Journal, June 28, 1972, p. 4. Three years after its purchase, City Parking was issued a demolition permit for the old Ottawa Citizen building.47Rick Lyons. “Tougher laws for property owners planned,” Ottawa Journal, February 12, 1974, p. 5. Ted Grant offers a bird’s eye view of Sparks Street, as the Mall pilot project begins. The Citizen building is in the distance. Image: Ted Grant / LAC Series 60-765, Image 3. Ted Grant offers a bird’s eye view of Sparks Street, as the Mall pilot project begins. The Citizen building is in the distance. Image: Ted Grant / LAC Series 60-765, Image 40. The Sparks Street Mall Pilot, 1960. Image: Ted Grant / LAC Series 60-812, Image 18. Bernie Herman’s coy responses to questions about his land assembly along Sparks and Queen between Metcalfe and O’Connor were, of course, not fooling anybody. In addition to a few smaller joint projects around the city,48The Park Lane Apartment-Hotel on Cooper Street was completed as a partnership between Julius Loeb and City Parking that year, for example. See Dave Brown. “Night Beat,” Ottawa Journal, June 30, 1973, p. 29; Terrence Belford. “Parking lot chain branching out as developer,” Globe and Mail, March 9, 1973, pp. B1, B3. City Parking had a much larger vision for the sort of development Ottawa should receive. Concept sketch of City Parking’s Canada Centre development. Source: Ottawa Journal, March 7, 1973, p. 4. For an lengthy exploration of the issue, I would also recommend Geoff Baker’s 1986 Masters’ Thesis on the topic entitled Collaboration and Conflict in Local Decision-Making: The Case of Ottawa’s Rideau Area Project. Finally, City Parking (Citicom as it was known by then) was one of the three partners involved in the development of the World Exchange Plaza on the portion known as “Canlands B”.50”Canlands A” is currently under development and has been done in two phases. The second phase is currently under way. Robert Smythe has also covered this issue thoroughly, though it was done in three parts. After the Canada Centre failed to materialize, Canlands B would remain a parking lot for a longer time. Image: URBSite. If there is one thing to be taken away from the the ‘Canada Centre Affair’, it’s that the interested parts of the federal government were determined, one way or another, to ensure that the large central mall project would be located in Lowertown, along Rideau street. To that end, during the Winter of 1976, the National Capital Commission (technically via Public Works) once again took the option of expropriation51The federal body was well-known for its easy way with the tactic. E.R. Fisher, Sparks Street clothier and head of its BIA for many years, was an ultimately ineffective, if regular, crusader against the practice. Seeing the deleterious effects it had on Rideau Street (where the Rideau Centre is today), he saw the writing on the wall for Sparks. See “Federal land on Sparks St.,” Ottawa Journal, June 16, 1976, p. 6. For more about malls and expropriation, see Ron Clingen and Dan Karon. “The NCC: The power and glory…” Ottawa Journal, March 17, 1975, p. 29; Ron Clingen. “New cries NCC uses ‘brutal’ tactics,” Ottawa Journal, June 16, 1976, p. 59; Gord Lovelace. “City tax loss $3.5 million for complex never built,” Ottawa Journal, April 14, 1979, p. 1; Paula McLaughlin. “NCC is sitting on land ‘like a hen on an egg’,” Ottawa Journal, September 14, 1979, p. 2. and purchased what was to be the Canada Centre’s entire footprint. The Canada Centre lands represented an impressive assembly. Source: Ottawa Journal, March 7, 1973, p. 4. Dave McIntosh, an NCC spokesman explained that since the body has zoning powers, “owning land is the only way we can control it.” He continued “By owning the property and leasing it was have control over the shape of the development. We’ll be able to prevent the construction of a 40-storey building.” City Parking’s response came from David Howard, the firm’s President: “I think it would be fair to say that the Canada Centre development is now not in our plans.” For his own part, the NCC’s McIntosh was confident that the parcels of lans would “eventually be built on.”52Don Butler. “Canada Centre plan buried,” Ottawa Citizen, February 20, 1976, p. 3. Suffice to say, three years later when no plans had been announced for the parcels, patience began to wear thin.53Paula McLaughlin. “NCC is sitting on land ‘like a hen on an egg,” Ottawa Journal, September 14, 1979, p. 2. As frustrating as the whole Canada Centre affair might have been, being swatted away from the downtown for $22 million and remaining a principal in the mall project (Rideau Centre) all the same, Citicom54As noted above, it was renamed in 1979. had plenty of reason to remain in the Ottawa development market. Manulife Place. Image: July 2016. Following the successful completion of the Rideau Centre55The mall’s grand opening was March 16, 1983. For a whole lot of fun, see the 64-page insert in the March 15 issue of the Ottawa Citizen., and nearly a decade out of the downtown core, Citicom returned to some of the Canlands. On February 28, 1984, the Citizen’s Cathy Campbell reported that the Manufacturers’ Life Insurance Company (Manulife) had purchased Citicom’s option on the L-shaped east lot and had planned to construct a $44 million office building. Campbell explained that Citicom had plans for an office tower of its own, but was unable to raise the needed financed to built the office on spec, so chose to sell the option. When asked why, Citicom president Chris Ansley responded that the company “has learned not to take large risks.”56Cathy Campbell. “Manulife plans office tower on downtown parking lot,” Ottawa Citizen, February 28, 1984, p. 23. Four months later, in June, Manulife announced that it had reached an agreement with the National Capital Commission over the design and that construction would begin in August and completion was expected in mid-1986.57”August start for Manulife tower,” Ottawa Citizen, June 13, 1984, p. 61. The Crang & Boake designed tower was officially opened in April 1987.58Rhys Phillips. “Not all glass boxes reflect poorly on designers,” Ottawa Citizen, August 1, 1987, p. F2; Polly King. “Musical comedy lights up Manulife’s ribbon-cutting,” Ottawa Citizen, April 30, 1987, D5. The lot in 1976. Image: geoOttawa. Port de Plaisance’s developers promised stunning views of Ottawa. Image: Google Maps. They weren’t kidding. Image: Google Maps. 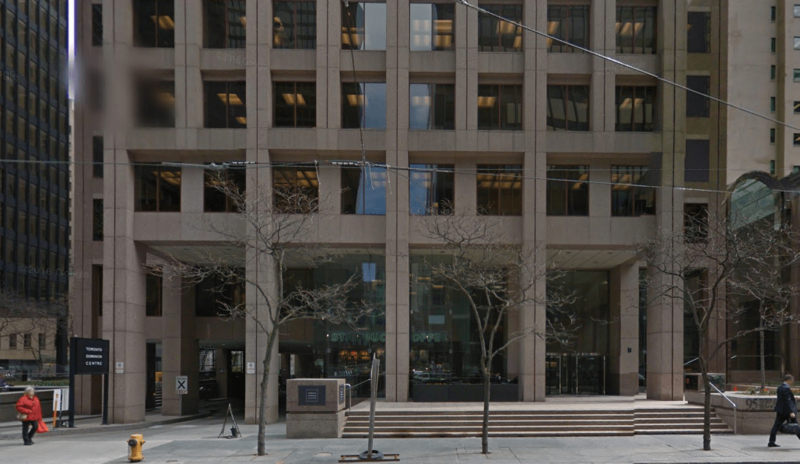 In the Fall of 1985, some months after Citicom and Timberlay announced their Somerset and Gallery Courts, Citicom, Peter Fallis, and Gerard Moreault announced a $24 million condominium development called Place de Plaisance, located in Hull along Laurier across from Champlain Park. Billed as the “largest single development ever undertaken in the city,” plans were made for a two towers (10 and 15-storey) and a row of eight townhouses. The towers, which would face the Parliament buildings, were designed by Brisbin, Brook, and Beynon (BBB).59Jack Aubry. “$24-million condominium planned for Hull core,” Ottawa Citizen, November 28, 1985, p. B10. In the face of a severe condominium glut, Jay Acton of Citicom conceded that Plaisance’s target market was narrow: “successful francophones who are retired or about to be.” Acton conceded that the second phase would be less exclusive than the first.60Karen Benzing. “Condominium glut sweeps region,” Ottawa Citizen, August 19, 1986, p. B1. As the oversupply lasted much longer than anticipated, plans for the second tower and town houses were eventually abandoned. The adjacent lot remained undeveloped until recently, with the construction of Groupe Heafy’s Le Viu condominium project, designed by Pierre Martin & Associés. Ottawa Citizen, January 11, 1986, p. A22. Ottawa Citizen, April 26, 1986, p. A12. Ottawa Citizen, October 11, 1986, p. A9. Port de Plaisance was a large enough development plan that, combined with Somerset and Gallery Court (to mention nothing of Citicom’s numerous other developments elsewhere), should have kept the growing developer sufficiently busy. 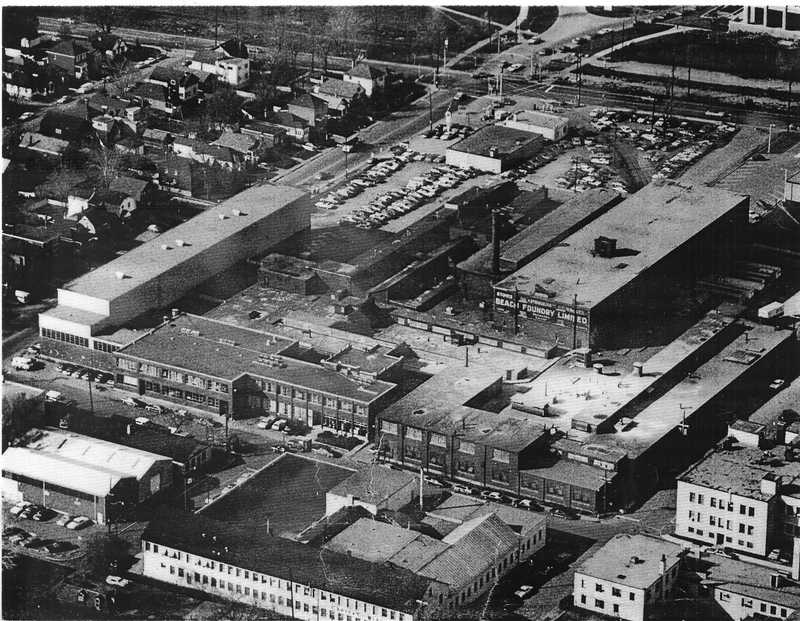 On October 24, 1985, the Citizen reported that the Citicom, in a partnership with Ottawa’s Laurnic, planned to begin an $80 million residential and commercial complex on the site of the recently-demolished Beech Foundry in Hintonburg.61Barbara Stanyar. “$80M complex proposed for Hintonburg area,” Ottawa Citizen, October 24, 1985, p. B1. The Beach Foundry, 1979. Ottawa was never an industrial centre in the classic sense, though the story of its deindustrialization is a story that needs writing. Fortunately, a number of the pieces have been written by great local historians like Dave Allston. Image: Jonesey 101. By 1981, the Beech Foundry had fallen silent. Harold’s Demolition was hired to remove the plant from the northwest corner of Hintonburg and materials were sold off.62Ottawa Citizen, September 15, 1981, p. 58. Once Citicom had announced its intentions and filed for a rezoning, the City was more than pleased to rezone the lot from industrial to mixed commercial-residential.63High Adami. “Zoning changed in Hintonburg for housing, commercial use,” Ottawa Citizen, November 7, 1985, p. D2. Though Adami referred to the potential for community opposition, it seems to have been muted, with some expected building height concerns being expressed. Also see”Neighborhoods,” Ottawa Citizen, June 23, 1986, p. C3; “Neighborhoods,” Ottawa Citizen, February 26, 1987, p. B3. The project’s details were officially unveiled at a champagne and smoked salmon affair at the end of July 1986. In the broadest strokes, the 8½ acre site was planned to include 550 condominium units in four separate buildings, two office buildings, 100,000 square feet of retail/commercial space, underground parking, and a recreation centre. Being located across from Tunney’s Pasture, it was expected that the development’s mall would not be lacking for custom.64”Citicom unveils project,” Ottawa Citizen, July 31, 1986, p. C9. Unlike Port de Plaisance in Hull, the Holland Cross condominiums were marketed to a middle income crowd. Citicom’s Chris Ansley felt that the self-contained mixed community approach was best in this case, as there were few amenities nearby at the time.65Karen Benzing. “Condominium glut sweeps region,” Ottawa Citizen, August 19, 1986, p. B1. Ottawa Citizen, November 9, 1985, p. A4. Ottawa Citizen, November 8, 1986, p. A10. Ottawa Citizen, February 21, 1987, p. A7. Ottawa Citizen, November 22, 1988, p. A7. 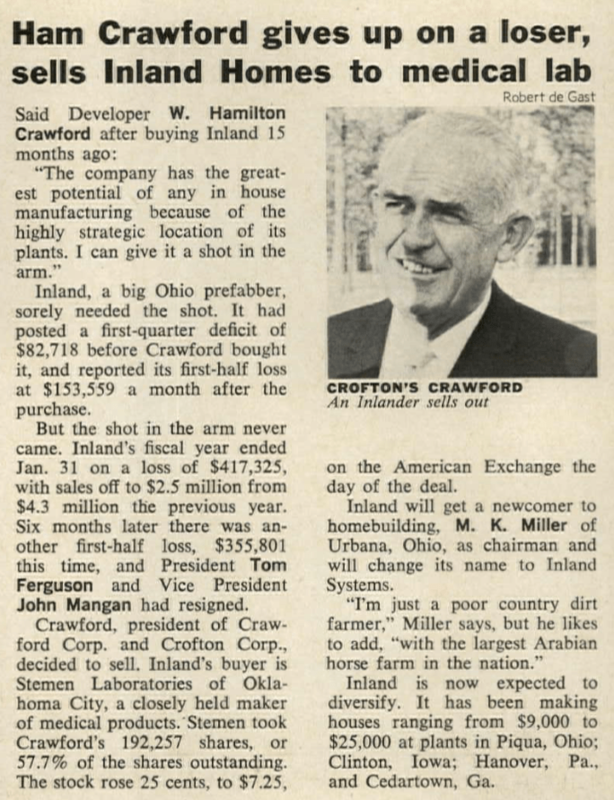 The Holland Cross sales office opened in October 1986 and as things go, Citicom was pleased with level of interest generated and pleased with the rate of pre-construction sales achieved. Within the first six months, half of the 273 units in Phase 1 were reported sold. The less expensive single units were the big seller in the project, so plans for the more expensive two-storey doubles were cancelled.66Sheila Brady. “Live, shop, bank and work, without leaving Holland Cross,” Ottawa Citizen, February 24, 1987, p. B12. Citicom and Laurnic achieved *most* of the original vision. The small white apartment building at the top left is the Casablanca Apartments. Image: Google Maps. As planned, the project reached substantial completion in 1989. Reporting on the complex was near entirely positive and the design was considered to be both innovative and refreshing. Moreover, in spite of some admittedly muted fears, it was considered to be a respectful addition to the neighbourhood.67Kathryn May. “Holland Cross strives for urban harmony,” Ottawa Citizen, May 12, 1989, p. D8. Promotion was also the name of the game, and Citicom sought to stand out. While some efforts were just fun (a large tulip-shaped hot air balloon to promote a flower shop inside68Ibid.) others, such as the welcoming of street vendors on to the property. Citicom even paid for six street permits as part of an effort to welcome young entrepreneurs to the site.69Sean Upton. “Welcome mat out for street vendors,” Ottawa Citizen, August 2, 1989, p. E7. In the core office business, there were no issues finding tenants. While the expansion of Ottawa’s city hall was delayed, a four-year lease on space was signed.70Jack Aubry. “Four Ottawa departments moving to better offices,” Ottawa Citizen, June 16, 1988, p. B3; Jack Aubry. “Ottawa city hall delay forces department to move,” Ottawa Citizen, September 7, 1989, p. B2. Four years into the “bold experiment”, the development remained popular, though complaints about limited parking were common, and the fortunes of businesses in the mall portion were sadly quite limited.71Patrick Dare. “A model for city living — with fewer cars,” Ottawa Citizen, January 11, 1993, p. B1. The Britannia area in 1991. Encouraged by the successful Holland Cross development, Citicom wanted to prolong the magic. Image: geoOttawa. By the late 1980s, the Canada Centre affair had been long forgotten and Citicom had behind it a considerable record of success. The Rideau Centre, Somerset Court, Gallery Court, Port de Plaisance, and Holland Cross, all were projects delivered and occupied. 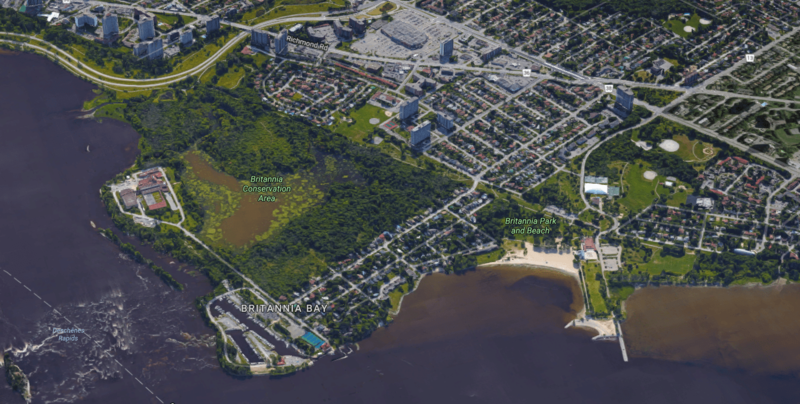 Citicom’s next step was then to redevelop Britannia Park and Lakeside Gardens. The developer had been consulting with the local community through the Winter of 1988 and were expected to submit a final master plan in April.72”Park and gardens to be transformed,” Ottawa Citizen, December 13, 1988, p. C2. From the get-go, Citicom failed to earn the trust of a community that it was putatively working in collaboration with. While preparing the draft master plan, Citicom vice-president David Donaldson appeared before a special committee to apologize for forgetting to mention that the company’s plans included a 50-suite hotel and convention centre on the property.73Charles Lewis and Wendy Smith. “Firm fails to mention hotel plans,” Ottawa Citizen, February 2, 1989, p. B1. As the weeks wore on, Citicom’s vision grew considerably. The hotel suites would be themed, containing a whirlpool in each. They envisioned a group of stores, offices, a farmers’ market, restaurants, cafes, a tea room, pub, a fast food counter, mini putt, bowling green, amphitheatre, light house, and an indoor-outdoor pool. It would also include a bird sanctuary, butterfly farm, pedestrian pathways, a new boat dock, nature trails, wildflower gardens, and a new and improved picnic area.74Wendy Smith. “Coney Island North? Britannia group to fight Citicom over grandiose park plans,” Ottawa Citizen, February 19, 1989, p. D1. You’ll have to try to imagine it, because I’ve been unable to locate a sketch, picture, or plan. Very little has changed. Just as the community demanded. Image: Google Maps. I may recount the full story another time, but suffice to say, it will be a familiar one. Community opposition was strong, organized, and effectively deployed. Citicom did back off of the more extravagant portions of the plan, which, thanks to the lack of trust, the community did not find satisfying. By November the project was killed outright by City Council. As Citicom had spent $100,000 on the plan, it was decided not to push on.75”Parks over profit; Britannia stays undeveloped,” Ottawa Citizen, November 3, 1989, p. A8. The above does not represent an exhaustive list of Citicom’s Ottawa projects, only a selection. Outside of the first phase of the World Exchange Plaza, it does seem to be the case that Citicom took its leave from the city’s active development scene. I now turn to Robert McElligott and his Timberlay Developments. 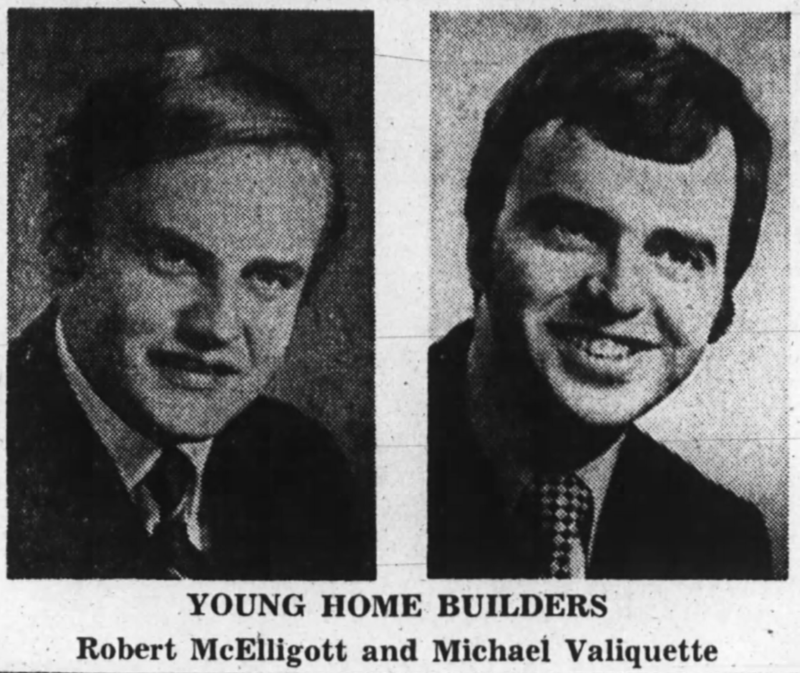 Young Guns: Robert McElligott and Michael Valiquette. Source: Ottawa Journal, November 7, 1970, p. 11. On November 23, 1968, in his regular column, the Journal’s R.U. Mahaffy reported that a pair of St. Patrick’s College grads, Robert McElligott and Michael Valiquette, had formed a new company called MacVal Enterprises. The pair intended to get into the homebuilding business and had recently secured the distribution rights for Inland Homes’ prefabricated kits. Beacon Hill North, on HOME lands, was where they were going to start.76R.U. Mahaffy. “Business: CICA On Auditing,” Ottawa Journal, November 23, 1968, p. 41. HOME lands were set aside for the Home Ownership Made Easy Program, which was run by the province. See Jeffrey Patterson. “Housing and Community Development Policies,” in John R. Miron (ed.) House, Home, and Community: Progress in Housing Canadians, 1945-1986 (Montreal: McGill-Queen’s University Press, 1993): 320-338; Michael Doucet & John Weaver. Housing the North American City (Montreal: McGill-Queen’s University Press, 1991). The use of Inland Homes’ prefab system was a means to an end. Source: House & Home, December 1967, p. 30. Macval’s star rose quickly: according to R.U. Mahaffy, the firm had, within two years, become the fourth largest builder of single homes in Ottawa. Not only that, but the firm was profitable and champing at the bit to keep growing. By 1970, they had already shown a willingness to run with the big boys, constructing a six-unit townhouse project alongside Bill Teron’s Dufferin House in New Edinburgh.77R.U. Mahaffy. “MacVal: Resourcefulness Paying Off,” Ottawa Journal, November 7, 1970, p. 11. MacVal’s New Edinburgh Terrace (1971) ran alongside Bill Teron’s Dufferin House (1966). June 2016, Image: Google Maps. The firm continued to grow at a considerable pace, constructing larger-scale projects in Barrhaven,78Ottawa Journal, June 21, 1973, p. 50. Queensway Terrace (“The Meadow”),79Ottawa Journal, July 7, 1973, p. 57. Craig Henry,80Ottawa Journal, September 20, 1974, p. 49., and, in collaboration with Bill Teron’s Urbanetics, the Island Park Estates townhouse-condominium located adjacent to Hampton Park.81Ottawa Journal, July 31, 1974, p. 55. In September 1974, Macval was acquired by the Campeau Corporation though it continued to operate under the MacVal banner.82”Campeau acquires MacVal,” Ottawa Journal, September 21, 1974, p. 12. Although I could be incorrect, it does not seem to be the case that Valiquette accompanied McElligott this far, as he was not mentioned in either the announcement or in the corporate appointments advertisement.83Ottawa Journal, October 18, 1974, p. 9. Island Park Estates was a joint development of Macval and Urbanetics. Image: Google Maps, 2015. While with Campeau, development continued apace, though does not appear to have increased greatly. One role that McElligott played while at Campeau was as a sort of evangelist for the early HUDAC (Housing and Urban Development Association of Canada) warranty program.84R.U. Mahaffy. “‘A good thing’ in warranties,” Ottawa Journal, May 31, 1976, p. 11. Before the voluntary program could really get off the ground, Bill Davis’ government passed the Ontario New Homes Warranties Plan Act making the enrolment in the program mandatory. It all remains in place today, though is known as Tarion. For an extensive discussion of its development, see Marc Denhez. The Canadian Home: From Cave to Electronic Coccoon (Toronto: Dundurn Press, 1994). Life as a divisional vice-president in a large company did not seem to suit McElligott: by 1977 he and the Campeau Corporation parted ways. As he was “more of an entrepreneur,” he founded his Timberlay Developments with the intention of constructing a smaller number of homes annually, though in the higher price ranges.85R.U. Mahaffy. “Builder returns to own business,” Ottawa Journal, May 2, 1977, p. 11. The first order of business? 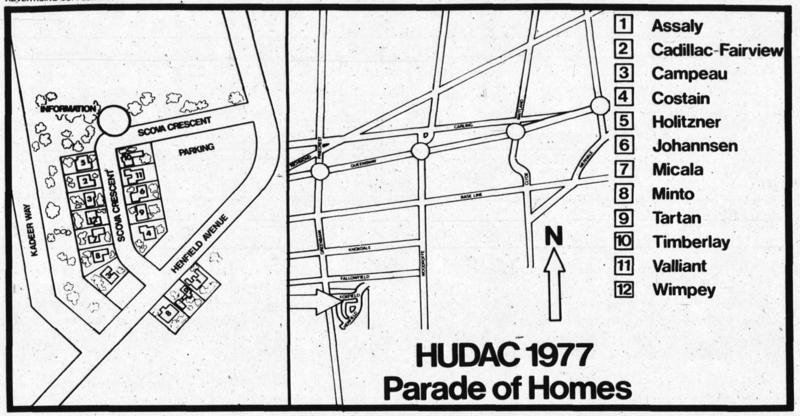 Surprisingly, it was marshalling efforts in organizing the HUDAC “Parade of Homes” in 1977 in Barrhaven. The promotional event would see a dozen homebuilders each construct one of their best and most innovative to act as a showcase. McElligott requested that Nepean Council waive the (admittedly low) development charges to help the event along. This would also serve as a promotion for the area. The main event, to which 60,000 lookie-loos were expected to show, was to be held between the 9 and 25 of September.86Ibid. The Parade of Homes. Source: Ottawa Journal, September 9, 1977, p. 55. Although each of the homes had a lot to recommend, it does seem to be the case that the Timberlay home stole the show. The $98,000 model, located at 12 Scova Cr. was a showpiece of style and conservation. Of modular construction, it included rooftop solar collectors for hot water, triple-glazed windows, low-flow toilets, and a “basement atrium.”87Mary Jane Charters. “What’s new in houses?” Ottawa Citizen, September 2, 1977, p. 81; Ottawa Journal, September 9, 1977, Advertising Supplement; R.U. Mahaffy. “They go up in a single day,” Ottawa Journal, November 18, 1977, Advertising Supplement, p. 6. A return to two-bedroom houses,88Land costs in the city had increased rapidly as serviced land became scarce in the 1970s. Among others, this applied pressure to builders, causing them to reduce the footprint of their developments. Smaller homes on smaller lots were one approach and townhouse complexes (stacked or otherwise) were another. See R.U. Mahaffy. “No let-up: Land costs soaring,” Ottawa Journal, December 15, 1975, p. 11. wooden exteriors, and high ceilings were all identified as trends in home designs.89Ibid, Charters. 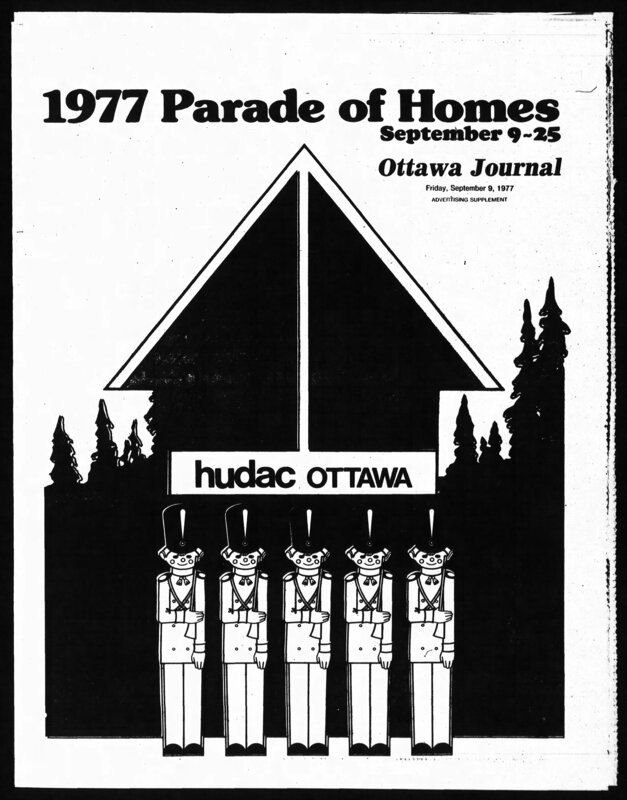 On the conservation theme, all of the homes constructed for the Parade of Homes featured “at least in the Canadian Code for Energy Conservation in New Buildings.”90Ottawa Journal, September 9, 1977, Advertising Supplement, p. 4. The Timberlay house stole the show for its innovative construction and energy saving techniques. Source: Ottawa Citizen, September 2, 1977, p. 81. Once the Parade of Homes had ended, McElligott set down to work on making Timberlay a household name, at least at the higher end. In 1978, projects at Brown’s Inlet91Ottawa Journal, July 22, 1978, p. 11. Brown’s Inlet infill development, 2015. Much like the Bingham Property shortly after, the Brown’s Inlet development saw McElligot restore the existing Baker House. See R.U. Mahaffy. 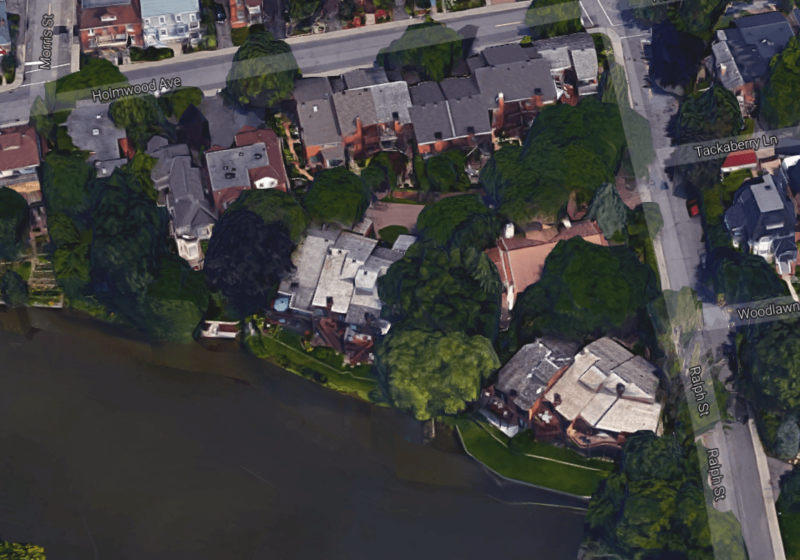 “Ducks sail past these luxury homes,” Ottawa Journal, July 21, 1979, p. 64. and Rothwell Heights92”37 new homes get approval: Rothwell district planning complete,” Ottawa Journal, November 21, 1978, p. 26. East of Blair and South of Radisson street. Radisson was subsequently closed and the homes today are along Massey Lane. were announced and he had been working that year on bringing his development along Echo Drive to market.93”Echo Drive project okayed,” Ottawa Journal, January 11, 1979, p. 3. Note that tag line: “uncommon luxury”. Source: Ottawa Journal, July 22, 1978, p. 11. 1979 was just as busy for Timberlay as the previous year. On February 6, Duart Snow of the Journal reported that local radio station CKOY had sold the Bingham Mansion and surrounding property to Timberlay Developments for $575,000. The sale was contingent on McElligot receiving approval from the city to construct 24 to 25 townhouse units on the remainder of the property (the existing building restrictions limited it to 15). To sweeten the deal, he pledged to spend around $250,000 to restore the 140 year old heritage-designated mansion itself, which had been used by CKOY since 1954.94Duart Snow. “Luxury housing slated for heritage property,” Ottawa Journal, February 6, 1979, p. 2. CKOY had been reluctantly granted permission by the city to operate a radio station from the property, which had been designated as residential, in 1954.95Interestingly, the property was on the short list in 1953 for the CBC’s local station. Also see Ottawa Journal, January 5, 1953, p. 1; Ottawa Journal, January 15, 1953, p. 20; “Municipal Board Allows CKOY Move To Bingham Estate,” Ottawa Journal, February 16, 1954, p. 14. As the station’s needs grew, repeated attempts to expand, alter, and even demolish the mansion were refused by the city. The station had already moved out of the premises into its new digs in Place de Ville B when the sale was announced.96Ibid; Tom Hill. “Headaches of heritage ownership,” Ottawa Citizen, December 28, 1978, p. 57. The mansion was restored to its 1840 form in 1983.97Heritage Ottawa Newsletter, Vol. 11, no. 3 (March 1983): 2. Timberlay’s development in 2015. Image: Google Maps. Timberlay’s infill projects continued into the 1980s, with projects completed around the city. There does appear to have been something of a slow-down in the early 1980s for Timberlay, at least in terms of larger-scale projects, before the partnership with Citicom.98Sheila Brady’s article credits the Rockcliffe on the Lake development to Timberlay, though all other sources I have located credit it to the Laurnic Group. I have not yet been able to track down what – if any – relationship there was between the two. The partnership would have been a logical approach to Somerset and Gallery Courts, of course, as the role played by Citicom seems to have been more about the finances than the development of the projects.99Sheila Brady. “Buyers of luxury Gallery Court condos like central location,” Ottawa Citizen, April 22, 1986, p. F5. A joint venture. Image: Google Maps. McElligot did not rest on his laurels after the award-winning Somerset and Gallery Court developments. He went on to construct a 226-unit condominium townhouse development in Cumberland Township at Fallingbrook in the second half of 1986,100”Neighborhoods,” Ottawa Citizen, March 19, 1986, p. D3., announce a 138-unit project in Barrhaven’s Heritage Park,101”Neighborhoods,” Ottawa Citizen, June 6, 1986, p. 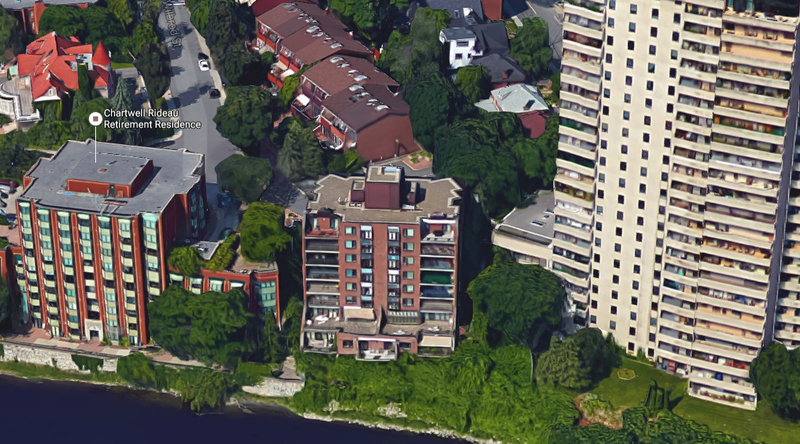 C3., and a retirement home in Sandy Hill on Wilbrod overlooking the Rideau River,102A joint venture with Marchton Properties. See “Neighborhoods,” Ottawa Citizen, June 12, 1986, p. B3.. Development continued apace through 1986 in spite of the Ottawa market being somewhat oversupplied. 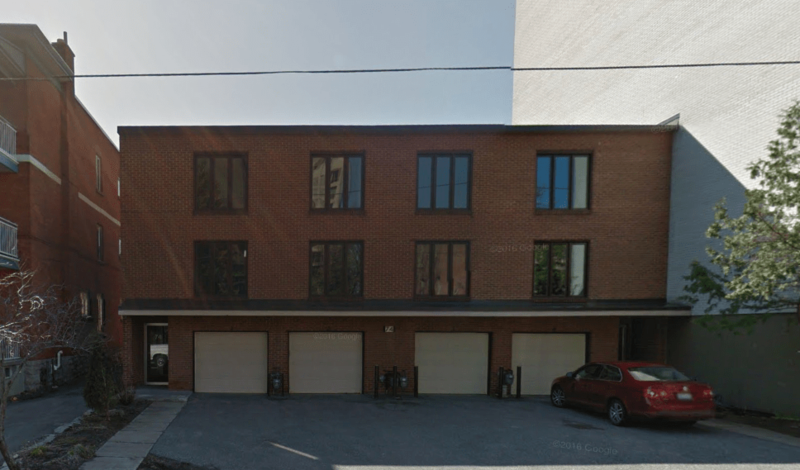 McElligott had also purchased 23 units in Urbanetics’ Park Square condominium on Albert Street in 1984, but had been unable to sell them off until much later.103Karen Benzing. “Condominium glut sweeps region,” Ottawa Citizen, August 19, 1986, p. B1. McElligott was able to develop the land in the end, but not without a battle. Image: Google Maps. Although Timberlay doubtlessly found itself on the developers’ traditional side of the support-opposition equation, the biggest fight came in 1987. 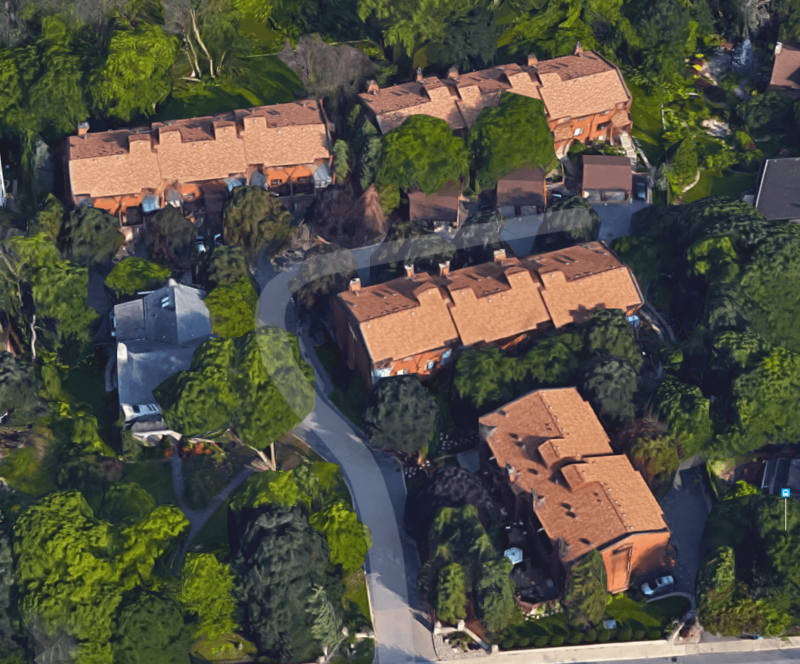 In September 1986, McElligott purchased a strip of land that is situated in between the Beechwood and Notre Dame cemeteries from another local developer, Mastercraft. After having be unsuccessful in having a proposal to construct three 15-storey buildings rejected, the developer decided to pass the lot on to another.104”Neighborhoods,” Ottawa Citizen, September 24, 1986, p. D3. Subsequent reports claim that Mastercraft hadn’t owned the land and that Timberlay purchased it from its original owner, the Roman Catholic Episcopal Corporation. By the time October rolled around, McElligot had begun to envision a community of lowrise and highrise housing on the site, which only served to increase the local opposition. When it was also reported that a car dealership was interested in a spot along St. Laurent (where St. Laurent Place is today)105St. Laurent Place was designed by Peter Pivko and constructed by Claridge for City Living in 1990. Its neighbour, Mario de Giovani Co-op, was constructed in 1992 by Claridge and designed by Liff and Tolot., then Heritage Ottawa president Marc Denhez was quoted as saying “What comes next? Are we going to move chip wagons in and start selling Christmas trees in our cemeteries? Surely there are limits to tackiness.”106Kathryn May. “Groups fight housing planned near cemeteries,” Ottawa Citizen, October 29, 1986, p. B1. For its own part, the National Capital Commission was sympathetic to the suggestion that the 20 acre site be used for a national cemetery along the lines of Arlington,107That vision was realized in 2009. but did not have a budget for such a thing. 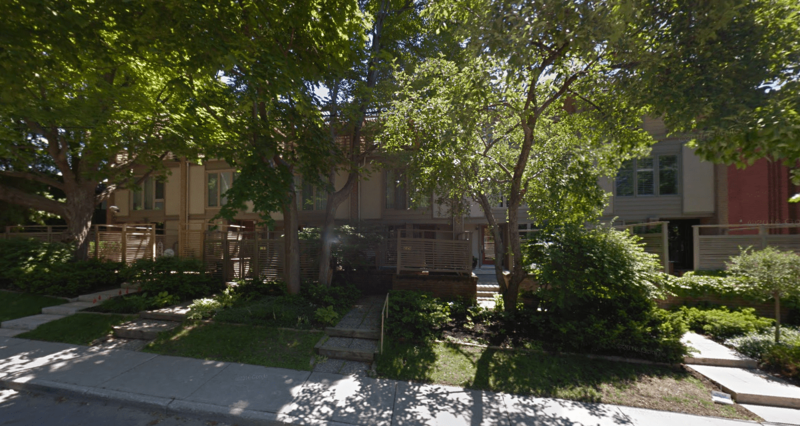 Failing that, the opposing groups felt that heritage designation would obstruct development.108Jim Robb. “NCC doesn’t support groups’ plea to preserve land near cemeteries,” Ottawa Citizen, October 30, 1986, p. E7. The Citizen published a map of the contentious lands. Source: Ottawa Citizen, October 30, 1986, p. E7. Ottawa’s Planning Committee was willing to hear the opponents’ case against Timberlay’s proposed development, but were not willing to cede the territory. It’s a risk taken when heritage designation is used as a subterfuge for simple obstruction of development: the committee was willing the grant the cemeteries themselves heritage protection, but not the 20 acre site.109Barbara Stanyar. “Aldermen reject naming land near cemeteries heritage site,” Ottawa Citizen, November 26, 1986, p. C5. Designation of the land as heritage was rejected by full Council the following week by a vote of 11-3.110”Ottawa rejects heritage tag for land,” Ottawa Citizen, December 4, 1986, p. E12. Heritage Ottawa and the Committee for the Preservation of Notre-Dame and Beechwood Cemeteries subsequently moved to advocating for the heritage designation of the lands upon which the car dealership was to be constructed.111”Neighbourhoods,” Ottawa Citizen, December 30, 1986, p. C3. The site as it appeared in 1976. Image: geoOttawa. In February, when it came time for Timberlay to request a rezoning of the land from public use to high-density residential, those in opposition saw another opportunity.112”Neighborhoods,” Ottawa Citizen, February 27, 1987, p. C3. It was hoped that the rezoning could be at least deferred some in order to facilitate more public discussion about the lands, and even continue to sell the NCC on the idea of the national cemetery.113”Cemeteries’ future,” Ottawa Citizen, March 2, 1987, p. A8. On March 4, the city’s Planning Committee approved the zoning change,114Doug Kelly. 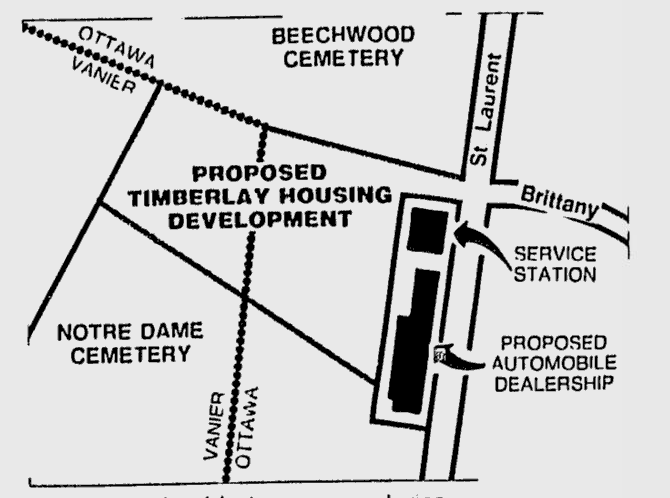 “Land by cemeteries rezoned for housing,” Ottawa Citizen, March 4, 1987, p. B1., and in spite of opposition from some heavy hitters (including Doug Fullerton, Charles Lynch, and Maureen McTeer), the zoning change was approved by full council the following month.115Doug Kelly. “Ottawa rezones cemetery area for a 650-unit housing project,” Ottawa Citizen, April 2, 1987, p. B2. The site in 1991. Image: geoOttawa. When a development is proposed in a jurisdiction like Ontario, where there is an appeal board, then the decisions of a city council aren’t always final. Such is the case with Timberlay’s proposal. Heritage Ottawa, the Committee for the Preservation of Notre Dame and Beechwood Cemeteries, and David Crabtree appealed the council’s decision to the Ontario Municipal Board one month following the decision.116Greg Ip. “Housing project near cemeteries referred to OMB,” Ottawa Citizen, May 22, 1987, p. B2. 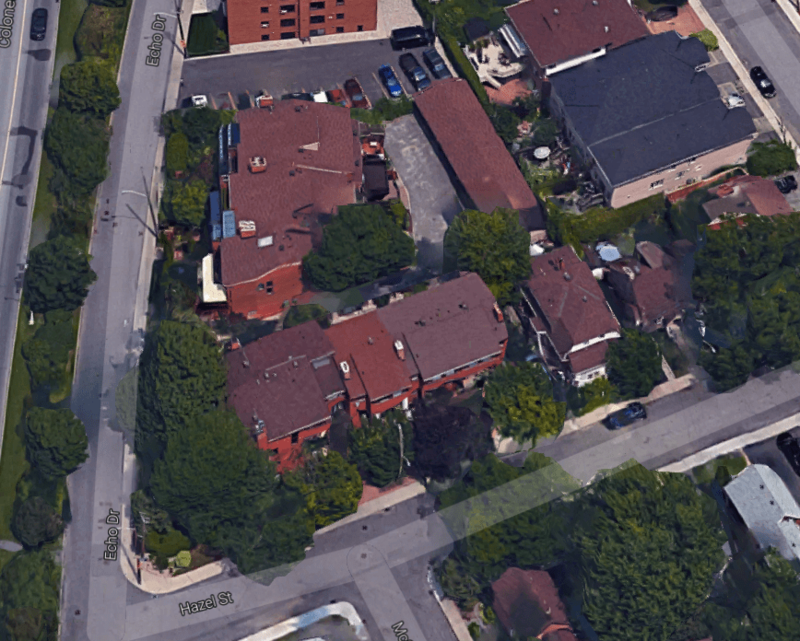 The case was to be heard in front of the OMB in the Fall, though in the meantime, the Conservation Review Board ruled in July that the housing project would indeed diminish the heritage value of the cemeteries.117Doug Kelly. “Land between cemeteries deserves heritage stamp: board,” Ottawa Citizen, August 28, 1987, p. C22. The ruling was, of course, pleasing to the local opposition.118Doug Kelly. “Residents cheer as board urges heritage tag near cemeteries,” Ottawa Citizen, August 29, 1987, p. A13. They’re not tall. Source: Google Maps. When in front of the OMB, the arguments made by the development’s opponents were effectively the same: that it would split the two cemeteries, prevent the development of a national cemetery, and that it would damage the heritage value of the two.119Doug Kelly. “Housing project would ‘vandalize’ cemeteries, says opponent,” Ottawa Citizen, November 19, 1987, p. B3. Both Timberlay, and the Max Bacon, a planner hired by the firm, argued that the cemeteries already have nothing to do with each other and, moreover, the proposed development would not do them any damage.120Doug Kelly. “Project won’t detract from cemeteries: planner,” Ottawa Journal, November 20, 1987, p. B3. The OMB returned with a decision the following March to allow the development to go ahead.121”Cemetery highrises OK’d,” Ottawa Citizen, March 11, 1988, p. C2. 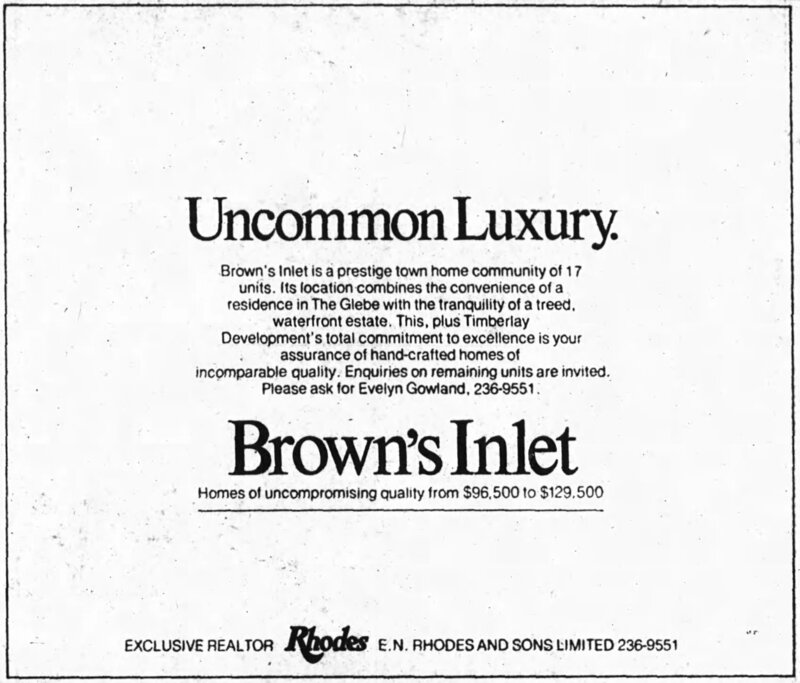 Though Timberlay’s opponents lost at every turn, a change in market conditions between 1987 and 1988 excoriated the demand for high-density housing. To that end, McElligott had new plans drawn up for a much lower density development. Before the amendments, Heritage Ottawa filed a challenge to the development in Divisional Court, which it had subsequently dropped.122Doug Yonson. “After winning heritage fight, firm drops highrise plan,” Ottawa Citizen, April 30, 1988, p. A8. In the end, Timberlay submitted plans for a 144-unit townhouse development on the 14 acre site, which is what was constructed. Local opposition remained opposed, though had no grounds upon which to stop it from happening.123Wendy Smith. “Developer drops controversial plan for highrises near cemeteries,” Ottawa Citizen, September 21, 1988, p. C1. I will leave the McElligott story here for the time being, though he has continued to build. Moreover, while there are numerous Timberlay developments outlined above, they represent only a sampling, and not an exhaustive list. 1. ↥ Ottawa Citizen, September 7, 1984, p. 38. 2. ↥ The name “Somerset Court” had already been used for a development along Somerset Street West at the time, though the name was long forgotten. Leo Sipolins’ small four-unit row at 74 Somerset W. was given the name upon completion in 1976. See Ottawa Journal, November 1, 1976, p. 31. 3. ↥ The later units were sold at $166,000. “Rideau Centre builder plans project,” Ottawa Citizen, May 15, 1985, p. F11; Ottawa Citizen, January 28, 1986, p. C12; Ottawa Citizen, May 24, 1986, p. A22. 4. ↥ I don’t know if I’d characterize it as a high rise myself, but the OCHBA did. See Steven Mazey. 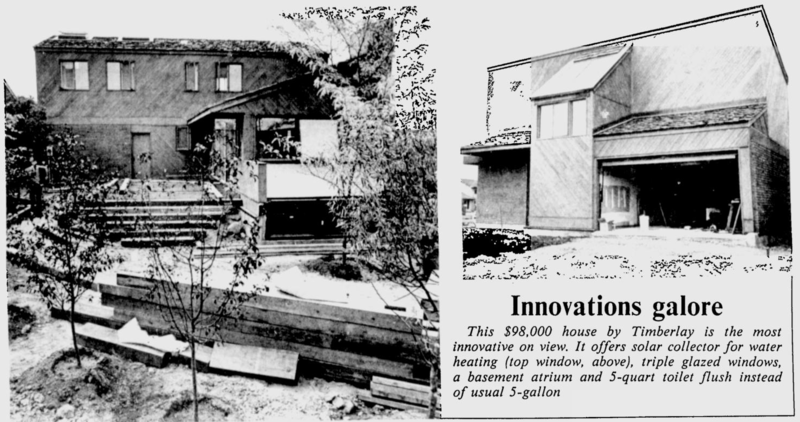 “Awards honour builders for innovation and efficiency,” Ottawa Citizen, October 11, 1986, p. D1. 5. ↥ ”Rideau Centre builder plans project,” Ottawa Citizen, May 15, 1985, p. F11. 6. ↥ The side of the old Dominion Printing Bureau and Laurentian Terrace. See Keri Sweetman. “Sites approved for museum, Gallery,” Ottawa Citizen, February 10, 1983, p. 1. 7. ↥ ”Report’s criticism of Gallery, Museum ‘overblown’,” Ottawa Citizen, October 30, 1985, p. A4; Bruce Levine. “Can’t judge buildings by their covers,” Ottawa Citizen, November 15, 1986, p. H3; Charles Gordon. “The new gallery: It’s very much a Canadian building,” Ottawa Citizen, May 7, 1988, p. H1; Louise Crosby. “The gallery’s 108-year search for a permanent home,” Ottawa Citizen, May 19, 1988, p. H4; Brad Evenson. “National Gallery bash draws 10,000,” Ottawa Citizen, May 21, 1988, p. A1. 8. ↥ Rhys Phillips. 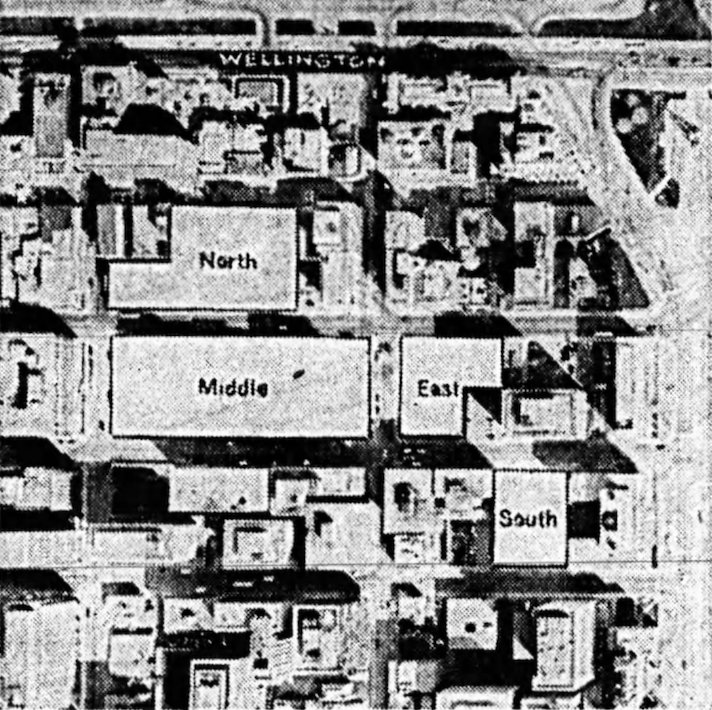 “Murray Street development will fit in with neighboring buildings,” Ottawa Citizen, May 10, 1986, p. F1. 9. ↥ Sheila Brady. “Buyers of luxury Gallery Court condos like central location,” Ottawa Citizen, April 22, 1986, p. F5. 10. ↥ Karen Benzing. “Condominium glut sweeps region,” Ottawa Citizen, August 19, 1986, p. B1. 11. ↥ Kathleen Walker. “Blue-ribbon housing; Hobin cleans up at annual builders’ awards dinner,” Ottawa Citizen, September 17, 1988, p. D1. 12. ↥ Rhys Phillips. “Architecture in ’87: the bad and the beautiful,” Ottawa Citizen, January 2, 1988, p. F2. 13. ↥ Consulting the aerials, it does not seem to have been actually on Queen West, but rather to the rear of one of the buildings. 14. ↥ Ron Haggart. “Toronto Parking King Honks At City Hall,” Toronto Star, June 21, 1961, p. 7. 15. ↥ He did this in a number of ways, though the most common way was to fight the displacement of private parking operators by government enterprise. See “Group Opposes Civic Monopoly On Parking Sites,” Globe and Mail, October 7, 1950, p. 5; “782 Parking Meters Urged For Downtown ‘Won’t Cost City A Cent’,” Globe and Mail, October 18, 1950, pp. 25, 35; “Charges Board With Bad Faith In Parking Deal,” Globe and Mail, May 27, 1953, p. 5; “Downtown Parking” (Letter to the Editor), Toronto Star, November 20, 1954, p. 6; Ron Haggart. “In Parking Matters, Authority Sets Pace,” Globe and Mail, July 17, 1958, p. 7; “Granting of Permit Leads to Squabble Over CNE Parking,” Globe and Mail, August 14, 1958, p. 27; “Need Parking Lots On Fringes,” Toronto Star, September 22, 1959, p. 7; Stanley Westall. “The Economics of Parking Autos,” Globe and Mail, April 1, 1960, p. 7; Leslie Holroyd. “‘ Must Plan Cities’ To Avoid Traffic Jams,” Toronto Star, June 21, 1961, p. 15; Ron Haggart. “Parking Propaganda Obscures The Facts,” Toronto Star, June 28, 1961, p. 7; Leslie Holroyd. “Autos Win Again Down Go Shops,” Toronto Star, March 22, 1962, p. 16. 16. ↥ ”Private Firm Wants It: Proposes City Sell Mechanical Garage,” Globe and Mail, March 12, 1959, p. 8; Ron Haggart. “How A Parking Lot Grew Money,” Toronto Star, May 9, 1962, p. 7. 17. ↥ ”Bricks and Mortar,” Toronto Star, April 11, 1963, p. 32. 18. ↥ At the time, the company had been operating three garages under contract in England. See “Briefs,” Toronto Star, December 20, 1962, p. 21. 19. 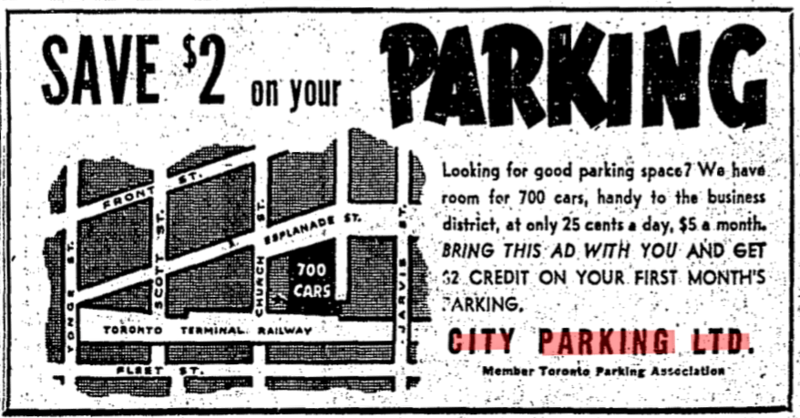 ↥ ”City Parking Buys Block Downtown,” Toronto Star, February 16, 1962, p. 2; Ron Haggart. “How A Parking Lot Grew Money,” Toronto Star, May 9, 1962, p. 7. 20. ↥ Ibid; “Bricks and Mortar,” Toronto Star, May 4, 1962, p. 32. 21. ↥ Leslie Holroyd. “Autos Win Again Down Go Shops,” Toronto Star, March 22, 1962, p. 16. 22. ↥ Terrence Belford. “Parking lot chain branching out as developer,” Globe and Mail, March 9, 1973, p. B3. 23. ↥ Ibid; Harvey Shepherd. “After the post-Expo slowdown, several major projects scheduled to start in Montreal within year,” Globe and Mail, July 2, 1971, p. 18; “Four Seasons Hotels plans 15% annual growth,” Globe and Mail, March 9, 1973, p. B3. 24. ↥ Interestingly, it has since been demolished and is serving, perhaps fittingly, as a parking lot until Great Gulf’s Young+Rich condominium project commences. 25. ↥ I won’t wade into the whole history here. See: Jon Caufield. The Tiny Perfect Mayor: David Crombie and Toronto’s reform aldermen (Toronto: James Lorimer, 1974); John Sewell. The Shape of the City: Toronto Struggles With Modern Planning (Toronto: University of Toronto Press, 1993); Jamie Bradburn. “The Tiny Perfect Candidate,” Torontoist October 25, 2014. 26. ↥ David Miller. “$100 million plan ends building war — Crombie,” Toronto Star, May 30, 1978, pp. A1,A22. No, not that David Miller. 28. ↥ Ibid, p. A22. 29. ↥ Toronto Star, October 5, 1988, p. D12. 30. ↥ ”Major projects in and around Metro,” Toronto Star, January 3, 1990, p. F2; Vince Blain. “Downtown condo has rooftop terrace,” Toronto Star, December 7, 1991, p. F6. 31. ↥ Paul Goldstein. “Walter Zwig’s dream came down to earth,” Toronto Star, September 27, 1980, p. D9. 32. ↥ Perhaps the Lexington’s sales were disappointing early on. See Bruce Gates. “Citicom ready to begin full-time project work,” Globe and Mail, May 28, 1982, p. B3. 33. ↥ Toronto Star, July 28, 1982, p. D17; The debate was a raucous one. Its heritage neighbour, the Toronto Club, opposed it strongly and neither the Royal York Hotel, nor Cadillac-Fairview, who planned to erect a fourth Toronto-Dominion tower were entirely impressed. It nevertheless went ahead. Also see Tom Kerr. “City okays deal to get Winter Garden going,” Toronto Star, July 9, 1982, p. A7; Ross Laver. “Neighbors called threat to Citicom deal,” Globe and Mail, July 10, 1982, p. E24; Pat Brennan. “Office space seen rising despite high vacancy rate,” Toronto Star, November 13, 1985, p. G1; Pat Brennan. “Where will they find tenants for new towers?” Toronto Star, June 1, 1986, p. F1. There were some threats that, should the deal not be made, the Province would not be able to restore the once-glorious theatre. See Tom Kerr. “Winter Garden refit will be mothballed if air rights aren’t sold, city warned,” Toronto Star, July 8, 1982, p. A7. The Province received a $6.9 million letter of credit from Citicom in December, which enabled the theatre’s restoration to commence. See Bruce Blackadar and Jack Graneck. “Island homes — back to square one?” Toronto Star, December 26, 1982, p. D8. 34. ↥ Darcy Henton. “Parking lots are next to each other but worlds apart on wages, benefits,” Toronto Star, February 27, 1986, p. A6. An additional point of interest is that Citipark had just 40 lots remaining in Toronto in 1986, demonstrating the pace of sale and development. Citipark boasts five parking facilities today. 35. ↥ Peter Cheney. “Parking lot strike jams downtown,” Toronto Star, March 1, 1986, p. A1. 36. ↥ Paul Bilodeau. 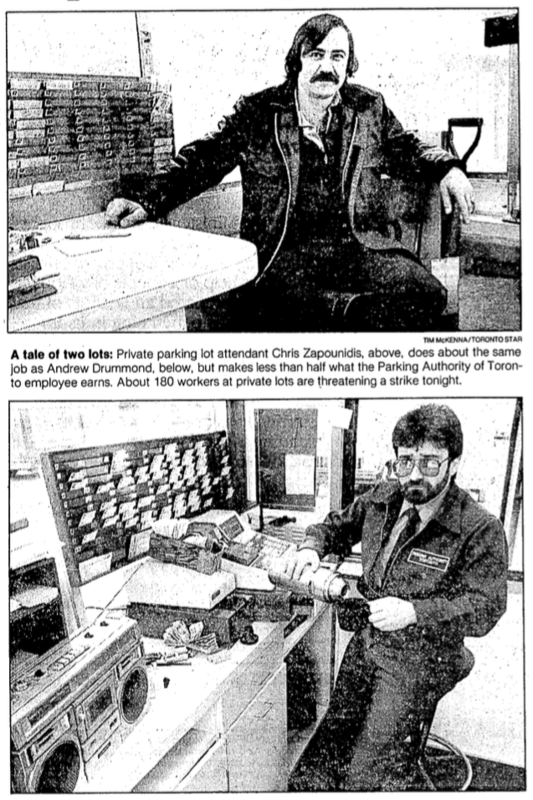 “Free parking delights drivers,” Toronto Star, March 5, 1986, p. A7. 37. ↥ Dana Flavelle. “Parking lot attendants reluctantly end strike,” Toronto Star, March 23, 1986, p. A3. 38. ↥ ”Parking Authority Turns Down Offer,” Ottawa Journal, October 8, 1958, p. 33; “Illegal?” Ottawa Journal, May 10, 1967, p. 3. 39. ↥ ”Free Parking For the Mall,” Ottawa Journal, May 25, 1960, p. 14. 40. ↥ ”May Rent OTC Site,” Ottawa Journal, November 30, 1960, p. 3; “Council Approves $334,000 Contract for New Stand,” Ottawa Journal, December 8, 1960, p. 19. 41. ↥ Richard Statham. “Large City Real Estate Values Being Influenced,” Ottawa Citizen, July 13, 1961, p. 10. 42. ↥ ”Extend Parking at Civic?” Ottawa Journal, June 25, 1965, p. 3. 43. ↥ I’d disagree with that, as the poplar is among my favourite variety of trees. Neville Hamilton. “Asphalt Attack Continues: Where’s the Civic’s Greenery Going?” Ottawa Journal, July 23, 1965, p. 3. This would turn out to be correct. After losing a number of spots to necessary building construction, the Civic Hospital constructed a 610-spot garage which opened in 1980. See “Parking still headache for board of trustees,” Ottawa Citizen, January 28, 1977, p. 4; “Civic Hospital parking garage in the works,” Ottawa Citizen, November 30, 1978, p. 4; Christina Spencer. “Civic Hospital celebrates opening of new garage,” Ottawa Citizen, October 22, 1980, p. 3. 44. ↥ Rick Lyons. “Parking Takeover by NCC Rapped,” Ottawa Journal, June 1, 1970, pp. 1, 5. 45. ↥ ”Parking Firm Buys Citizen Building,” Ottawa Journal, June 25, 1971, p. 42. 46. ↥ ”Mall Theatre property sold for $1.2 million,” Ottawa Journal, June 28, 1972, p. 4. 47. ↥ Rick Lyons. “Tougher laws for property owners planned,” Ottawa Journal, February 12, 1974, p. 5. 48. ↥ The Park Lane Apartment-Hotel on Cooper Street was completed as a partnership between Julius Loeb and City Parking that year, for example. See Dave Brown. “Night Beat,” Ottawa Journal, June 30, 1973, p. 29; Terrence Belford. “Parking lot chain branching out as developer,” Globe and Mail, March 9, 1973, pp. B1, B3. 49. ↥ Terrence Bedford. “City Parking to build complex in Ottawa,” Globe and Mail, March 7, 1973, p. B13; “$50 million downtown development,” Ottawa Journal, March 2, 1973, p. 5; John Ferguson. “$50 million complex set for city,” Ottawa Journal, March 7, 1973, p. 4; “Path cleared for aerial walkways,” Ottawa Journal, September 13, 1973, p. 43. 50. ↥ ”Canlands A” is currently under development and has been done in two phases. The second phase is currently under way. 51. ↥ The federal body was well-known for its easy way with the tactic. E.R. Fisher, Sparks Street clothier and head of its BIA for many years, was an ultimately ineffective, if regular, crusader against the practice. Seeing the deleterious effects it had on Rideau Street (where the Rideau Centre is today), he saw the writing on the wall for Sparks. See “Federal land on Sparks St.,” Ottawa Journal, June 16, 1976, p. 6. For more about malls and expropriation, see Ron Clingen and Dan Karon. “The NCC: The power and glory…” Ottawa Journal, March 17, 1975, p. 29; Ron Clingen. “New cries NCC uses ‘brutal’ tactics,” Ottawa Journal, June 16, 1976, p. 59; Gord Lovelace. “City tax loss $3.5 million for complex never built,” Ottawa Journal, April 14, 1979, p. 1; Paula McLaughlin. “NCC is sitting on land ‘like a hen on an egg’,” Ottawa Journal, September 14, 1979, p. 2. 52. ↥ Don Butler. “Canada Centre plan buried,” Ottawa Citizen, February 20, 1976, p. 3. 53. ↥ Paula McLaughlin. “NCC is sitting on land ‘like a hen on an egg,” Ottawa Journal, September 14, 1979, p. 2. 54. ↥ As noted above, it was renamed in 1979. 55. ↥ The mall’s grand opening was March 16, 1983. For a whole lot of fun, see the 64-page insert in the March 15 issue of the Ottawa Citizen. 56. ↥ Cathy Campbell. “Manulife plans office tower on downtown parking lot,” Ottawa Citizen, February 28, 1984, p. 23. 57. ↥ ”August start for Manulife tower,” Ottawa Citizen, June 13, 1984, p. 61. 58. ↥ Rhys Phillips. “Not all glass boxes reflect poorly on designers,” Ottawa Citizen, August 1, 1987, p. F2; Polly King. “Musical comedy lights up Manulife’s ribbon-cutting,” Ottawa Citizen, April 30, 1987, D5. 59. ↥ Jack Aubry. “$24-million condominium planned for Hull core,” Ottawa Citizen, November 28, 1985, p. B10. 60. ↥ Karen Benzing. “Condominium glut sweeps region,” Ottawa Citizen, August 19, 1986, p. B1. 61. ↥ Barbara Stanyar. “$80M complex proposed for Hintonburg area,” Ottawa Citizen, October 24, 1985, p. B1. 62. ↥ Ottawa Citizen, September 15, 1981, p. 58. 63. ↥ High Adami. “Zoning changed in Hintonburg for housing, commercial use,” Ottawa Citizen, November 7, 1985, p. D2. Though Adami referred to the potential for community opposition, it seems to have been muted, with some expected building height concerns being expressed. Also see”Neighborhoods,” Ottawa Citizen, June 23, 1986, p. C3; “Neighborhoods,” Ottawa Citizen, February 26, 1987, p. B3. 64. ↥ ”Citicom unveils project,” Ottawa Citizen, July 31, 1986, p. C9. 65. ↥ Karen Benzing. “Condominium glut sweeps region,” Ottawa Citizen, August 19, 1986, p. B1. 66. ↥ Sheila Brady. “Live, shop, bank and work, without leaving Holland Cross,” Ottawa Citizen, February 24, 1987, p. B12. 67. ↥ Kathryn May. “Holland Cross strives for urban harmony,” Ottawa Citizen, May 12, 1989, p. D8. 69. ↥ Sean Upton. “Welcome mat out for street vendors,” Ottawa Citizen, August 2, 1989, p. E7. 70. ↥ Jack Aubry. “Four Ottawa departments moving to better offices,” Ottawa Citizen, June 16, 1988, p. B3; Jack Aubry. “Ottawa city hall delay forces department to move,” Ottawa Citizen, September 7, 1989, p. B2. 71. ↥ Patrick Dare. “A model for city living — with fewer cars,” Ottawa Citizen, January 11, 1993, p. B1. 72. ↥ ”Park and gardens to be transformed,” Ottawa Citizen, December 13, 1988, p. C2. 73. ↥ Charles Lewis and Wendy Smith. “Firm fails to mention hotel plans,” Ottawa Citizen, February 2, 1989, p. B1. 74. ↥ Wendy Smith. “Coney Island North? Britannia group to fight Citicom over grandiose park plans,” Ottawa Citizen, February 19, 1989, p. D1. 75. ↥ ”Parks over profit; Britannia stays undeveloped,” Ottawa Citizen, November 3, 1989, p. A8. 76. ↥ R.U. Mahaffy. “Business: CICA On Auditing,” Ottawa Journal, November 23, 1968, p. 41. HOME lands were set aside for the Home Ownership Made Easy Program, which was run by the province. See Jeffrey Patterson. “Housing and Community Development Policies,” in John R. Miron (ed.) House, Home, and Community: Progress in Housing Canadians, 1945-1986 (Montreal: McGill-Queen’s University Press, 1993): 320-338; Michael Doucet & John Weaver. Housing the North American City (Montreal: McGill-Queen’s University Press, 1991). 77. ↥ R.U. Mahaffy. “MacVal: Resourcefulness Paying Off,” Ottawa Journal, November 7, 1970, p. 11. 78. ↥ Ottawa Journal, June 21, 1973, p. 50. 79. ↥ Ottawa Journal, July 7, 1973, p. 57. 80. ↥ Ottawa Journal, September 20, 1974, p. 49. 81. ↥ Ottawa Journal, July 31, 1974, p. 55. 82. ↥ ”Campeau acquires MacVal,” Ottawa Journal, September 21, 1974, p. 12. 83. ↥ Ottawa Journal, October 18, 1974, p. 9. 84. ↥ R.U. Mahaffy. “‘A good thing’ in warranties,” Ottawa Journal, May 31, 1976, p. 11. Before the voluntary program could really get off the ground, Bill Davis’ government passed the Ontario New Homes Warranties Plan Act making the enrolment in the program mandatory. It all remains in place today, though is known as Tarion. For an extensive discussion of its development, see Marc Denhez. The Canadian Home: From Cave to Electronic Coccoon (Toronto: Dundurn Press, 1994). 85. ↥ R.U. Mahaffy. “Builder returns to own business,” Ottawa Journal, May 2, 1977, p. 11. 87. ↥ Mary Jane Charters. “What’s new in houses?” Ottawa Citizen, September 2, 1977, p. 81; Ottawa Journal, September 9, 1977, Advertising Supplement; R.U. Mahaffy. “They go up in a single day,” Ottawa Journal, November 18, 1977, Advertising Supplement, p. 6. 88. ↥ Land costs in the city had increased rapidly as serviced land became scarce in the 1970s. Among others, this applied pressure to builders, causing them to reduce the footprint of their developments. Smaller homes on smaller lots were one approach and townhouse complexes (stacked or otherwise) were another. See R.U. Mahaffy. “No let-up: Land costs soaring,” Ottawa Journal, December 15, 1975, p. 11. 90. ↥ Ottawa Journal, September 9, 1977, Advertising Supplement, p. 4. 91. ↥ Ottawa Journal, July 22, 1978, p. 11. Brown’s Inlet infill development, 2015. Much like the Bingham Property shortly after, the Brown’s Inlet development saw McElligot restore the existing Baker House. See R.U. Mahaffy. “Ducks sail past these luxury homes,” Ottawa Journal, July 21, 1979, p. 64. 92. ↥ ”37 new homes get approval: Rothwell district planning complete,” Ottawa Journal, November 21, 1978, p. 26. East of Blair and South of Radisson street. Radisson was subsequently closed and the homes today are along Massey Lane. 93. ↥ ”Echo Drive project okayed,” Ottawa Journal, January 11, 1979, p. 3. 94. ↥ Duart Snow. “Luxury housing slated for heritage property,” Ottawa Journal, February 6, 1979, p. 2. 95. ↥ Interestingly, the property was on the short list in 1953 for the CBC’s local station. Also see Ottawa Journal, January 5, 1953, p. 1; Ottawa Journal, January 15, 1953, p. 20; “Municipal Board Allows CKOY Move To Bingham Estate,” Ottawa Journal, February 16, 1954, p. 14. 96. ↥ Ibid; Tom Hill. “Headaches of heritage ownership,” Ottawa Citizen, December 28, 1978, p. 57. 97. ↥ Heritage Ottawa Newsletter, Vol. 11, no. 3 (March 1983): 2. 98. ↥ Sheila Brady’s article credits the Rockcliffe on the Lake development to Timberlay, though all other sources I have located credit it to the Laurnic Group. I have not yet been able to track down what – if any – relationship there was between the two. 99. ↥ Sheila Brady. “Buyers of luxury Gallery Court condos like central location,” Ottawa Citizen, April 22, 1986, p. F5. 100. ↥ ”Neighborhoods,” Ottawa Citizen, March 19, 1986, p. D3. 101. ↥ ”Neighborhoods,” Ottawa Citizen, June 6, 1986, p. C3. 102. ↥ A joint venture with Marchton Properties. See “Neighborhoods,” Ottawa Citizen, June 12, 1986, p. B3. 103. ↥ Karen Benzing. “Condominium glut sweeps region,” Ottawa Citizen, August 19, 1986, p. B1. 104. ↥ ”Neighborhoods,” Ottawa Citizen, September 24, 1986, p. D3. Subsequent reports claim that Mastercraft hadn’t owned the land and that Timberlay purchased it from its original owner, the Roman Catholic Episcopal Corporation. 105. 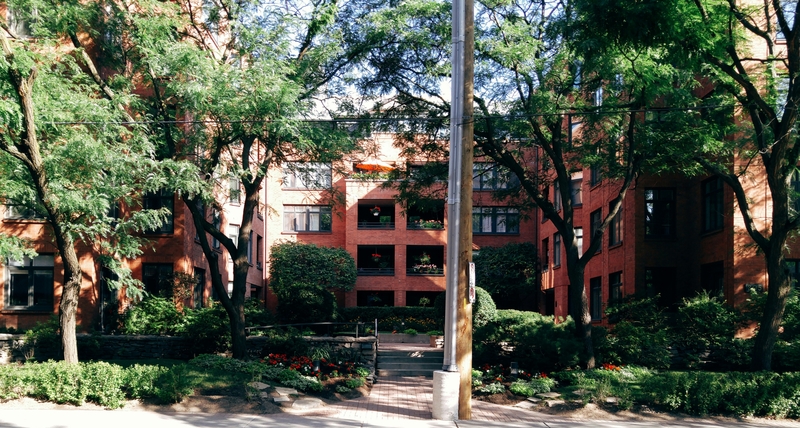 ↥ St. Laurent Place was designed by Peter Pivko and constructed by Claridge for City Living in 1990. Its neighbour, Mario de Giovani Co-op, was constructed in 1992 by Claridge and designed by Liff and Tolot. 106. ↥ Kathryn May. “Groups fight housing planned near cemeteries,” Ottawa Citizen, October 29, 1986, p. B1. 107. ↥ That vision was realized in 2009. 108. ↥ Jim Robb. “NCC doesn’t support groups’ plea to preserve land near cemeteries,” Ottawa Citizen, October 30, 1986, p. E7. 109. ↥ Barbara Stanyar. “Aldermen reject naming land near cemeteries heritage site,” Ottawa Citizen, November 26, 1986, p. C5. 110. ↥ ”Ottawa rejects heritage tag for land,” Ottawa Citizen, December 4, 1986, p. E12. 111. ↥ ”Neighbourhoods,” Ottawa Citizen, December 30, 1986, p. C3. 112. ↥ ”Neighborhoods,” Ottawa Citizen, February 27, 1987, p. C3. 113. ↥ ”Cemeteries’ future,” Ottawa Citizen, March 2, 1987, p. A8. 114. ↥ Doug Kelly. “Land by cemeteries rezoned for housing,” Ottawa Citizen, March 4, 1987, p. B1. 115. ↥ Doug Kelly. “Ottawa rezones cemetery area for a 650-unit housing project,” Ottawa Citizen, April 2, 1987, p. B2. 116. ↥ Greg Ip. “Housing project near cemeteries referred to OMB,” Ottawa Citizen, May 22, 1987, p. B2. 117. ↥ Doug Kelly. “Land between cemeteries deserves heritage stamp: board,” Ottawa Citizen, August 28, 1987, p. C22. 118. ↥ Doug Kelly. “Residents cheer as board urges heritage tag near cemeteries,” Ottawa Citizen, August 29, 1987, p. A13. 119. ↥ Doug Kelly. “Housing project would ‘vandalize’ cemeteries, says opponent,” Ottawa Citizen, November 19, 1987, p. B3. 120. ↥ Doug Kelly. “Project won’t detract from cemeteries: planner,” Ottawa Journal, November 20, 1987, p. B3. 121. ↥ ”Cemetery highrises OK’d,” Ottawa Citizen, March 11, 1988, p. C2. 122. ↥ Doug Yonson. “After winning heritage fight, firm drops highrise plan,” Ottawa Citizen, April 30, 1988, p. A8. 123. ↥ Wendy Smith. “Developer drops controversial plan for highrises near cemeteries,” Ottawa Citizen, September 21, 1988, p. C1.